First and foremost I want to thank MGS again for the chance to review another product. 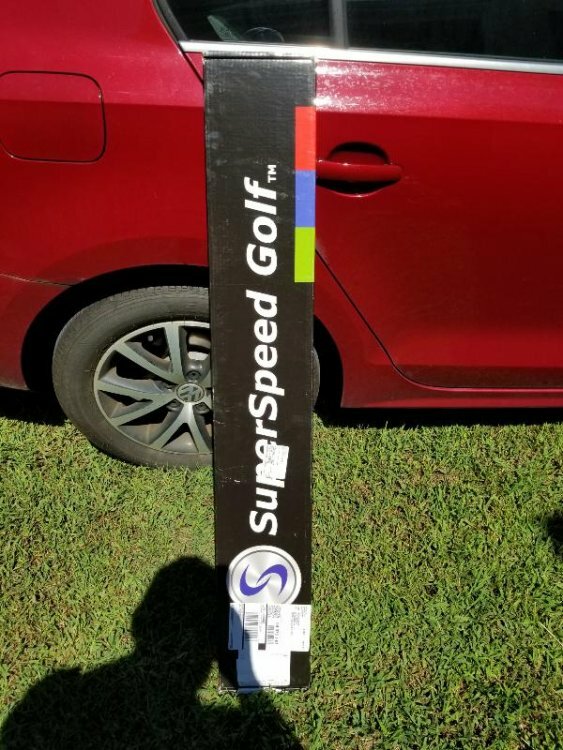 I was lucky enough to be selected to test the Snell MTB Black last year and now have the chance to try out the new SuperSpeed Golf program. The link below to my Snell review gives a little background on me and my game but I’ll recap some info as well. I’ve been a pretty decent golfer since I started playing at age 14 (now 36) and currently carry a handicap of 1.7. I’ve always been an equipment junkie which led me down the road to building golf clubs as soon as I started playing and I’ve been a clubmaker now for over 22 years. 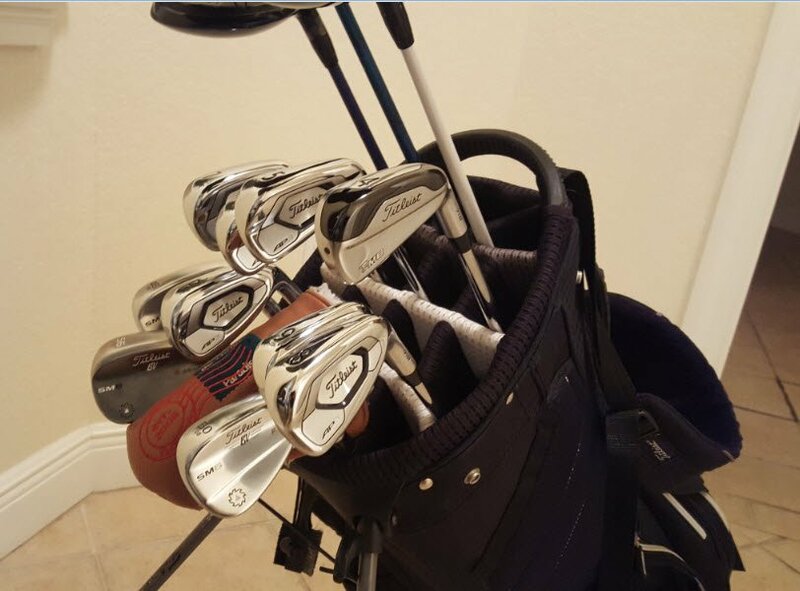 A friend of mine purchased the SuperSpeed clubs and I had just asked him to borrow them the week before I got picked. Talk about amazing timing! My ballstriking is very consistent and pitching and chipping are solid. Putting can be streaky and some days are better than others. My swing has a very smooth tempo and even when I feel like I’m swinging all out, it still looks very smooth and lazy like an Ernie Els or Fred Couples. 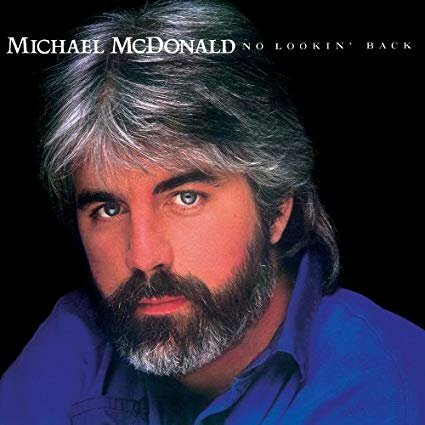 My swing may or may not have been referenced to as the Michael McDonald of golf swings. Shoutout to any Yacht Rock fans! The biggest problem to my game has always been that I’ve been an average distance player and only carry a swing speed of around 100mph with a driver as of my last Trackman fitting. When I enter tournaments, I am usually playing the back tees due to my handicap and spend most of my round hitting long irons into greens and trying to get up and down for pars. Not having shorter shots into long holes limits my ability to take advantage of scoring opportunities by having shorter putts. I’ve been into weight lifting and working out at the gym since I was in high school and visit the gym 3-4 times a week religiously. Over the last few years I’ve added quite a bit of muscle mass but unfortunately as I’ve gotten older I’ve also gained a bit of undesired weight as well. I currently weigh around 240lbs at 5’9” tall. I don’t stretch as much as I should and my flexibility has been suffering. Luckily my swing speed hasn’t gone down over the years but it hasn’t gone up either with the additional strength gained in the gym. I really hope the SuperSpeed program will help with that and I’m very optimistic! • My driver distance carry, on average, is around 240-245 yards. • I hit a 3 iron between 190-205 yards. I’m really hoping that this system will bump me up to around 105 mph with a driver which should give me an extra15 yards or so off the tee. This may be a lofty goal but it would be a huge addition to my game to have 1-2 less clubs into greens. Even if I only gain 1-2 mph but increase my flexibility then I would consider it a complete success. I also quite look forward to using the weighted clubs as a way to warm up before rounds and get my sore muscles moving and ready to play. I was very excited when the sticks and radar unit arrived. I just knew more speed was about to come my way! Unfortunately, after I opened everything up and inspected each item, my excitement quickly vanished. I discovered that one of the SuperSpeed shafts was broken directly under the grip. It was strange because the box it was shipped in was in perfect condition and had no damage from UPS. There was plastic over the grip as well that was in perfect condition so I can only guess it was damaged in the factory before it was packaged and shipped out. If that wasn’t disappointing enough, I then discovered the radar unit that came with the SuperSpeed was also broken. The display would turn on but would not display the information correctly. Now to be fair, the radar was not made by the SuperSpeed company but was something they added as part of the test/review. I honestly couldn’t believe I was having such bad luck before I even started! I reached back out to MyGolfSpy and they passed on my issues to SuperSpeed. That same day I had Kyle Shay (CEO and Founder) at SuperSpeed reach out to me via email and apologize for the issues. He said that he’s never seen anything like this and immediately sent out a replacement SuperSpeed and a replacement radar unit. I thought this was pretty great, especially since the radar wasn’t even their product! I received the new items a day later and sent the broken items back. Just to be honest, I don’t expect to gain 30 yards off the tee using this program. I do feel that I can gain maybe 5 mph which would give me around 15 extra yards. I would be plenty ecstatic if that were to happen and plan to make every effort to achieve this goal. I really like the training protocol as it appeals to my gym rat nature and if I can see results in the gym with a training routine then there is no reason I can’t see results with this program either (assuming I don’t hurt myself ). Our training protocol is going to be discussed and I believe will last approx. 6 weeks 72 weeks! The workouts are supposed to be done 3-4 times a week and only take about 10 total minutes to complete. My old plan was to align my SuperSpeed workouts with my gym routine so that I can get both the benefit of the additional workout as well as being able to swing a golf club after lifting in order to stretch. We were actually told that this isn't the correct way and that I should do the SuperSpeed training BEFORE any workout so that the muscles are at their full strentgh level and fatigue doesn't interfere. I feel if I pick up 5 mph+ on my swing then it would be enough to justify the price SuperSpeed Golf charges. I’ll have to keep reminding myself that with any program, you have to see it through or you can’t say it didn’t work. 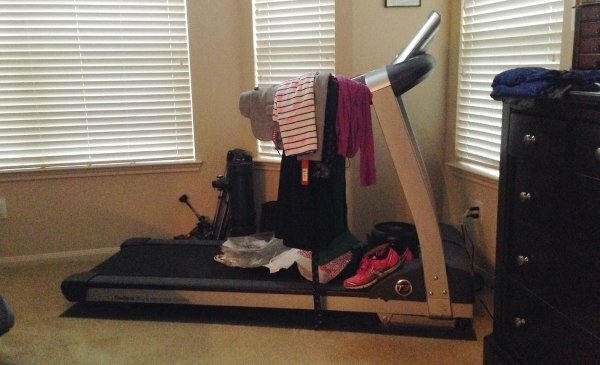 I don’t plan on this being like that treadmill that everyone buys and then stops using after 3 weeks…you know who you are. A number of years back, in the far off land of Sheboygan, Wisconsin, I had a parishioner who was a class A teaching pro. While he worked at a private club he was kind enough to invite me to the practice tee there, give me some lessons and fit me for a new driver that I received for his cost. At the start of the first lesson John, the Pro, wanted to know my goals. He knew that I was a pretty good player so for kicks he threw in that if it were to prepare for the Champion's Tour (Senior Tour as it was known then) I would have to hit the Gym because those guys could still knock it out there pretty far and that was going to be too much for me to overcome. I listened but rather than hitting the Gym vowed to avoid playing on a professional tour of any sort (I've kept that vow) although I did get my index down to .8 in part through working with John, in part through better club fitting and also through moving to Florida, playing year round golf in a much more competitive setting. The choice of not working out caught up with me and as 50 moved towards 60 I put on weight, my fitness suffered further and my driver swing speed dropped from a respectable 95 to 85. Predictably my handicapped suffered proportionally soring from that .8 to a struggling 7. Worse though, my health suffered. As my Ping G400 write up indicates I have been in a fitness program since February. During that time I've lost 44 lbs. I now weight what I did in college. That has helped my Driver SS a bit, it's up to 88 mph, an increase of 3 to 4 mph's. It has also improved my ball striking and my handicap in my golf league dropped over the summer from a 9 for 18 to a 5. I've also recaptured a full club length with my irons so that I comfortably hit my 7 from 150 and GW from 105. I am able to carry driver about 205 at this point. This program has been a combination of diet and work outs aimed at cardio, flexibility and strength. It should be stressed however that SuperSpeed Golf program is not a fitness program. It's purpose is to retrain the mind so that it is comfortable with the body moving at faster speeds than they do currently. The warm up and protocol moves have a fitness/flexibility element to them so it helps to be fit but if one is looking for improved fitness as the result of SuperSpeed he or she should look elsewhere. Instead what this program will do is provide three weighted training devices or clubs. In the standard men's set the green club is about 20 percent lighter than a driver, the blue 10 percent and the red 5 percent heavier. What the program promises is incremental increases in driver swing speed by doing a dynamic warm up and then swinging these clubs both dominant and non-dominant sided. 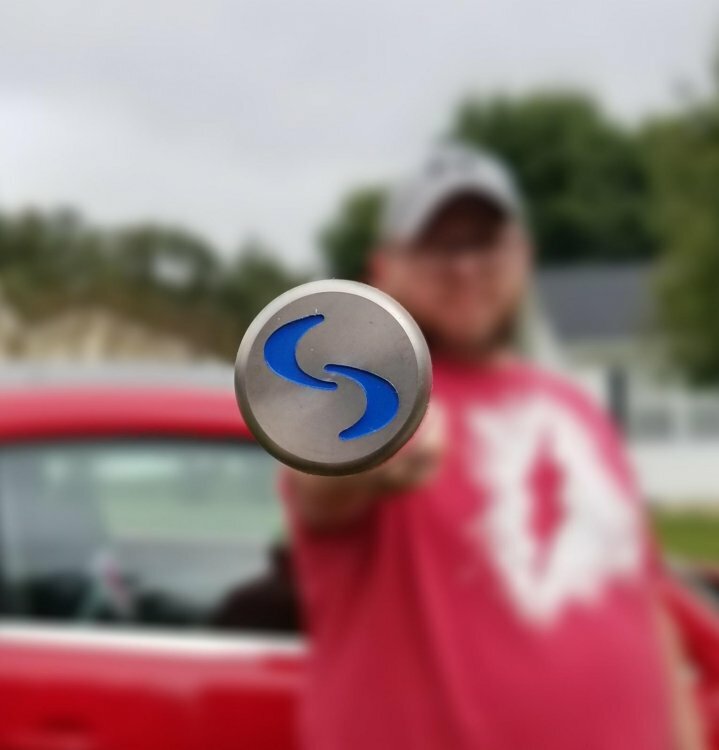 According to their material following the Super Speed protocols will increase overall driver SS up to 12 percent depending on the person with an average driver SS gain of 9 percent after 20 weeks. It needs to be stressed that this is not a quick fix, it requires some discipline and time, about a half an hour three days a week always with a rest between the training days. 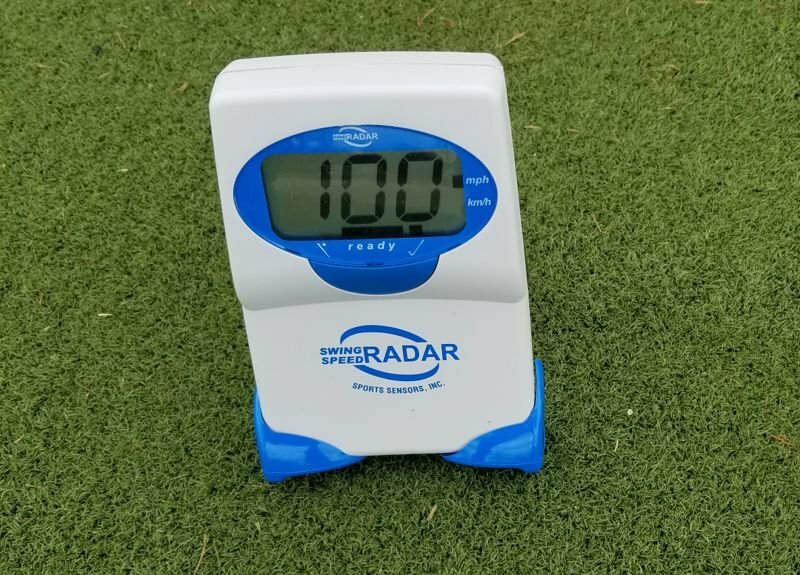 SuperSpeed Golf was kind enough to provide each tester with a radar device that measures club head speed regardless of whether or not a shot is hit. We will be testing our SS weekly with each of the three weighted "clubs" as well as with our drivers and reporting the results at the end of our first six weeks of testing. 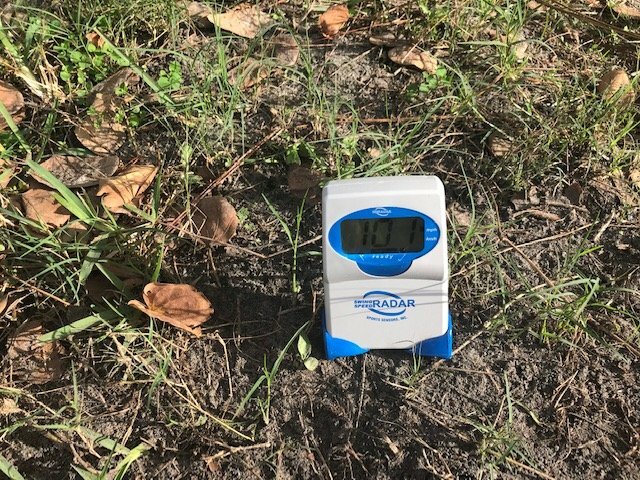 It should be noted that the radar device is faster than a traditional Launch Monitor or a Device like my Swing Caddie below. The radar is reading 92 where my Swing Caddie pictures 87. Typically the difference is 3 mph and in fact on the day that I got my base reading my SS on the radar averaged 91 with a high of 92. It was an 88 mph average on the Swing Caddy with a high of 90. Spot on the predicted difference. SuperSpeed has been great to work with leading up to our test. While there were some questions in our group about the weighted clubs selected they have been good about answering questions and even patched us in on a teleconference with Daisy-May, one of their clinicians, to be sure that we knew how the first phase protocol works. The materials themselves arrived promptly as promised. Since this is a training system I'm not providing lots of pictures here. The pay off is in the research and the application of the program according to SuperSpeed Golf's protocol. Of importance they are in the process of simplifying things on their website so the protocol that we are following is a bit different from what you would see there. Is this really going to work? I know that I'm capable of following the protocols and that I have the discipline to stick with them for a year or permanently so long as I remain in good health. It took tons of discipline to loose 44 lbs. But I've already gained 4 mph's of driver SS through my fitness program. Will I see an additional increase through this training? An additional 5 percent as promised would get me up to 96 mph on the radar, 93 on my measuring device. That's right around the average SS on the LPGA. The rest of my game remains nearly as strong as it was when I was a 1 so I'm anxious to see if recapturing some of that distance will spark the old magic in my game. We will certainly give you enough to go on so that you might ask Santa for a SuperSpeed set of your own for Christmas, should you so choose or maybe you will pass because of what we find out. By the Masters? Well who knows, perhaps one of the guys here who's SS is in the 100's will get to the high 110's and the PGA tour average. Maybe I'll get to 100!!! My ultimate goal is certainly that on the radar, 100 mph by April, 97 on my Swing Caddy device. Thanks to MGS for picking me to be a part of this test and to SuperSpeed for entrusting this to our community! If you have any questions please fire away! If not I'll be back in six weeks to post my results. As you can see my starting average driver swing speed was 91 using the radar device that SuperSpeed Golf provided. This average was based on 5 drives hit on the range just prior to beginning the level one protocols. 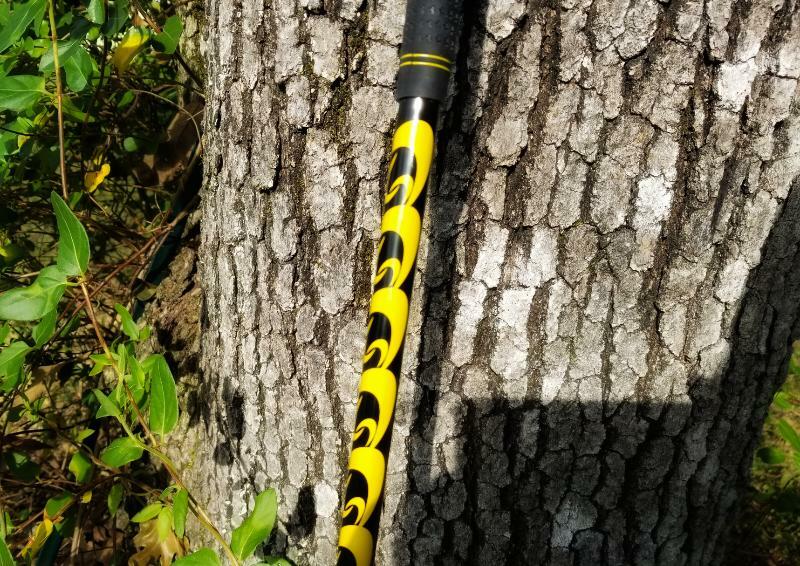 It should be noted that in addition to testing the SuperSpeed Golf system for the My Golf Spy community we are also testing a new ordering of the protocols by SuperSpeed that aren't up on the website yet as of this writing. Based on a starting swing speed of 91 mph I should have anticipated a level one swing speed gain of 4.5 miles per hour. Remarkably that is exactly what I got although for some reason I tacked on an additional 1/2 mile per hour when I averaged things out for the start of level 2. During that eight week segment I was expecting a 2-3 mph gain and I got a 2 mile per hour gain. 91 to 98 equals 7 mph or exactly what SuperSpeed Golf promised, 90/100, product performs as expected, game over! Product performs as promised, there's your review. But not so fast because it wasn't quite as easy as it sounds. For starters this was a process that included jumps in swing speeds, stalls in swing speeds and even a step back for a while. Workouts were performed in heat indexes of over 100 when we started in September, to cool evenings with the sun setting, to rain, through a nasty head cold and the business of the Christmas Season for this Senior Pastor of a fairly large Church and School. 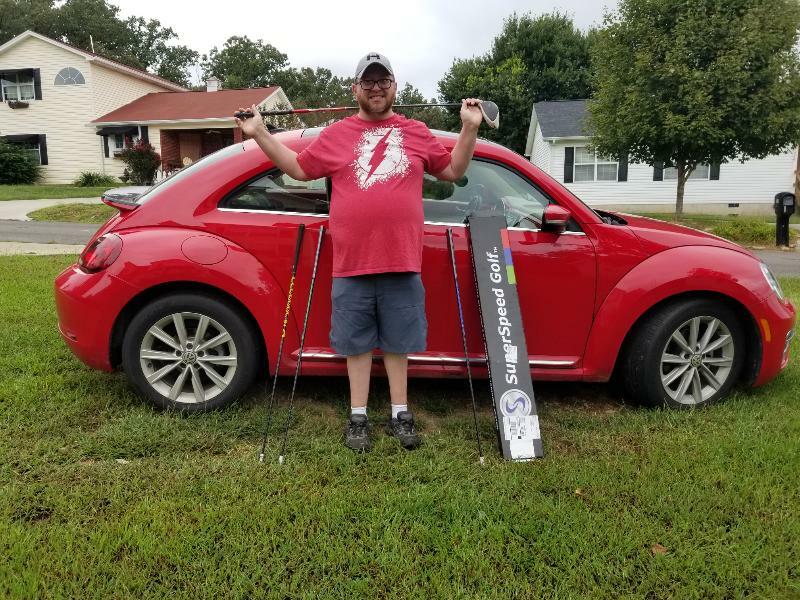 Here are some pictures to help tell that story and perhaps encourage you to read the rest of the review so that you might determine if the SuperSpeed Golf training system is right for you. As if that weren't enough days got shorter still, daylight savings time ended making late afternoon workouts tough, others faced snow and cold. It's hard to describe how busy the month of December is in a large church but that's what I faced as I struggled to get my workouts in during daylight hours. No, I have never swung a club inside of that church! 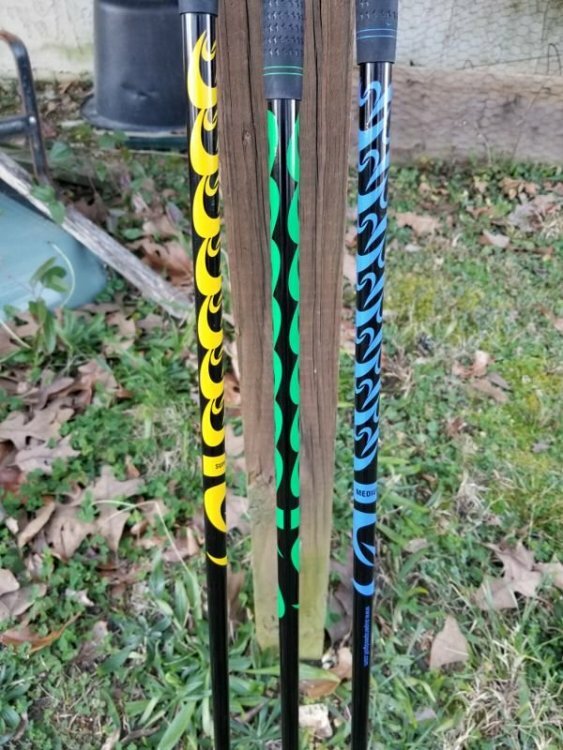 I rotated this picture of the sticks so that you could see that they look like new. They have worn well, the grips have endured well over 1,000 swings with almost no sign of wear and the red club acts as a prop for the all important dynamic warm up. So why take off points? Because they don't come with a carrying case. As you can see in the center of my picture there are hazards in my house. You saw two more significant hazards for golf equipment in my earlier pictures, 400 lb. power wheel chairs and grandsons pose threats to golf clubs, as does travel. 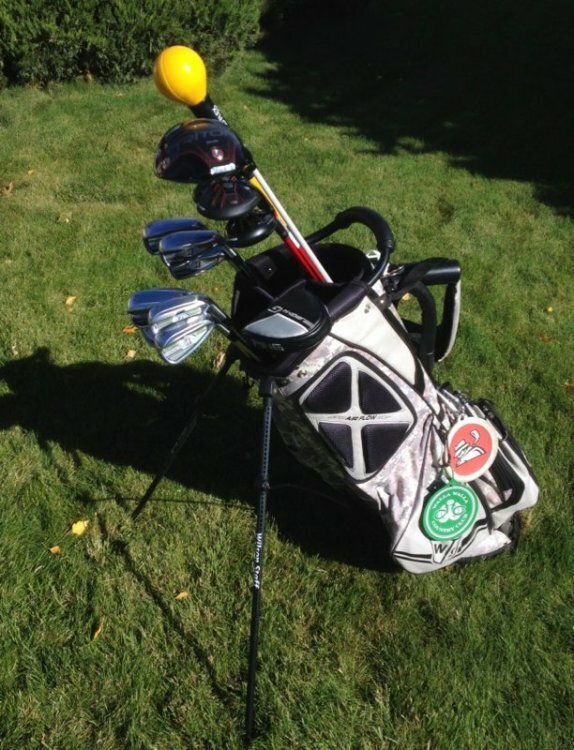 I had to transport my sticks without my clubs on a family trip in order to get a workout in. Not having a traveling case was a bit of a bother, not major but something to think about, perhaps an additional cost for some. At home I store the green and the blue with my back up set, the red always stays in my primary bag as it comes with to the course for that warm up! 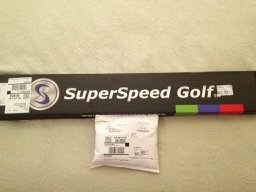 I have to say that the SuperSpeed Golf customer service is off the charts. They promise to deliver this level of service to anyone who purchases their product and I believe them. Still it would be important to be a part of a community if you plan to take SuperSpeed on. We'd be happy to have you here. My team of testers has been awesome to work with. While the primary goal of the SuperSpeed Golf system is to retrain the brain to swing faster there is a physical element to it. Certainly not enough to act as a primary work out, I still do my cardio and some additionally strength training. That is not to say that there weren't some fitness challenges for this reasonably fit 62 year old. Step changes were tough at first, until I figured out that they were like pitching from the stretch and kneeling swings were killers until SuperSpeed was kind enough to send us each a kneeling pad. It's honestly a bit pricey if you purchase it through their site but it is nice, durable and makes the kneeling swings much easier. I'm sure there would be cheaper options but be careful, you need to be sure that the pad that you use works and that it cushions your knees. You've already seen my Swing Speed gains. What has this meant? Thus far 15 yards plus with the driver and a full club with my irons. I'm currently a 7 handicap. While I haven't had a lot of time to play over the past couple of months because of work I have had several very nice rounds on very demanding courses. I've actually moved back a half set of tees on my home course and still shot in the mid to upper 70's. Fifteen yards with driver plus a club with irons is two clubs plus on each hole. That will ultimately translate into much lower scores. I've been as low as a 1 in my life. My goal is to get back to a 2 during league play this upcoming Spring/Summer/Fall. I think it's obtainable particularly if this distance gain remains locked in. I'm keeping it! Now to be sure at this point it would be reasonable to give an incomplete because there is no way for me to test the assertion that these speed increases are permanent fixtures for my game. Also there was a significant plateau period in level 2 that was very hard to grind through. Some of the testers are still stuck in that plateau. For some, this tester included, the temptation to cut and run with the 5 % gain of level one was very real. It was the commitment to the group, to MGS, to SuperSpeed Golf and those who might read this review that kept me going, even through a significant head cold that quite frankly sucked the life out of my Christmas. I'm in this for the long run. There's a whole new series of adventures coming in the level 3 protocol that we just started. I love the group of guys that I'm doing this test with and see no reason to stop until they've had a chance to take it to the course next Spring. I owe it to them and myself to continue. I really want to see my average driver swing speed get back up over 100 again - maybe I will actually have to re-shaft my driver! So there you have it for now. From the Rev's perspective the SuperSpeed Golf System delivered on its opening promises. But you will have to weigh the cost for yourself. It's currently on sale for $199.99 which to me is a bargain and a half. However you will also need to invest in a radar device for another $100 - $130 and a kneeling pad of some sort for $15-$50. I would not skimp on that kneeling pad unless you are significantly younger. The system will work but only if you do the work that it requires so that's another cost to count. It's relentless, half an hour, three days a week, every week, for fourteen weeks to start but ideally seventy weeks. That's a year and twenty weeks. You either need to live in a warm weather climate or have a sufficient enough indoor space (gyms or work out centers at a health club or hotel will do as will some basements and garages.) I would also highly recommend doing it in a group, grab a few friends, join us here, some sort of support system though. For that investment, if you are willing, you will get a proven system and access to the incredible SuperSpeed Golf team. These folks are dedicated to teaching golfers how to swing faster. They are constantly updating the program as they obtain more data that uncovers what it takes to swing a golf club faster. Faster swing speeds, more distance, lower scores, more fun on the golf course! That's what SuperSpeed Golf is all about. A final thank you to My Golf Spy, SuperSpeed Golf and most especially the guys on my testing team for allowing me to be a part of this. Please feel free to ask questions. I know that I will checking this thread regularly and posting updates as we work our way through level three and beyond. Happy New Year and here's to more fairways and greens for everyone! This is not a review by someone looking to increase swing speed to make it on the Long Drive circuit… lol. Heck, I’m not even the guy trying to reach 300 yards off the tee. My days of knocking the ball a long way (mostly to the right) are long gone! I am an overweight 71-year old golfer who loves golf, and I want to play as much as I can because at my age, I don’t know how many rounds I have left. However, I want to play the best I can, and I will do whatever I can to improve. If I can increase my distance off the tee, maybe I can increase my chances for another hole-in-one like this one last year. This opportunity to test the SuperSpeed Golf concept of overspeed training to increase swing speed seems like a perfect program for a golfer like me to improve my game. 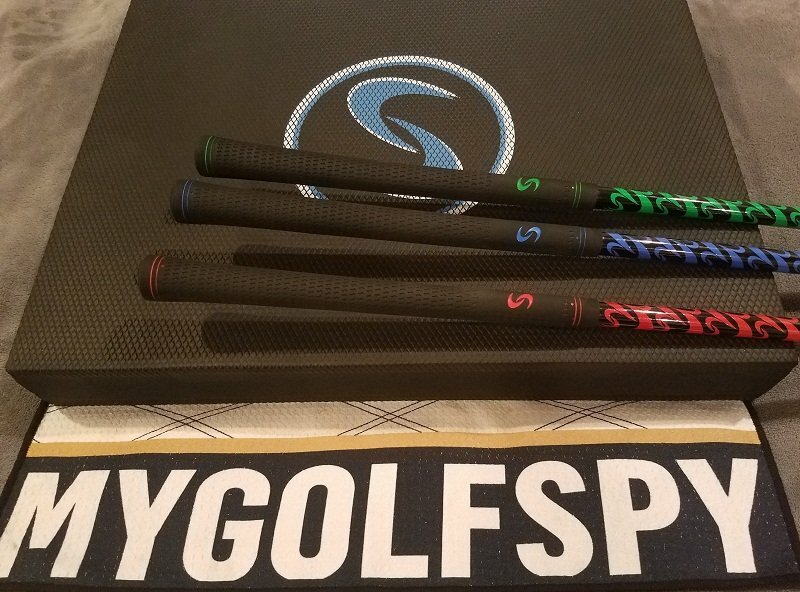 I would like to thank SuperSpeed Golf and MyGolfSpy for providing this opportunity, and I hope this review will be helpful to golfers with slower swing speeds like me. 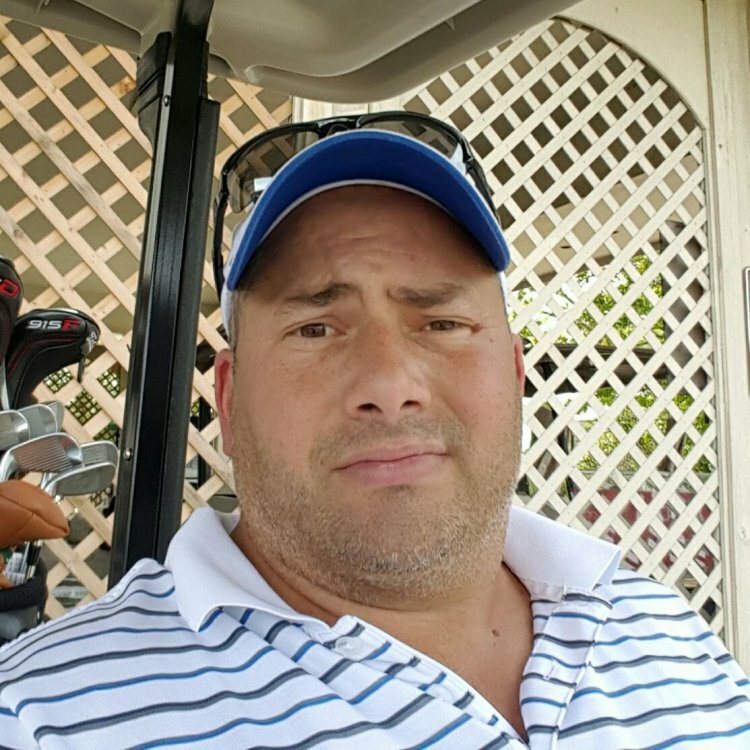 A little more about me… I picked up golf late in life in 1992 after the aches and pains of competitive fast pitch softball and volleyball did not all go away before the next game the following week. I needed a new sport at age 45. I was never a great athlete; played decent at most sports while growing up. I thought I could learn golf on my own, but I was wrong! It took years to unlearn all my swing flaws (I’m still working on a few of them.). Words for those just starting out in this silly game… take lessons early! It took me 10 years to get from a 25 ‘cap to 14, and another 10 years to get from 14 to my current 9 index. I firmly believe that if I had started with lessons at the beginning, I could have been lower than 9 in my first 10 years. I typically score in the low 80’s, but if my short game is working I can go mid-70’s. My strengths are accurate driving and decent putting. My short game has improved with a lot of practice. My weakness is length; I need more. My swing speed with the driver is around 84 mph; I have reached 88 mph but that swing is not one I would use on the course. These speeds were measured recently on my Swing Caddie SC200 launch monitor. I am also in the middle of a major swing change this year. In my younger days I hit the ball pretty far (at least that is how I remember it… lol), but I had a wicked slice. I almost gave up the game, but then I took lessons, and I found the Single Plane Swing of Moe Norman taught by the Graves Golf Academy. I have used the single plane swing for the last 10 years, and it turned my slice into a reasonably straight ball. I was happy with that and played decent golf. However, with each passing year I have noticed a drop in driver distance. So, this spring I went back to a two-plane swing and gained a little distance, but I have lost some consistency. I’m hoping that will improve with more reps.
At times I do have a tendency to screw up my swing tempo, and I would say that as my tempo goes, so does my score. I can play a solid round where I have a few birdies and shoot in the 70’s. When I shoot in the 70’s, I feel like I have found something and I can shoot in the 70’s every day, but the next day or maybe next week I wonder why I am even playing this game; I can shoot in the high 80’s. Most of my play is at my club, a local upscale muni, with my wife who is a 16 ‘cap. She has been playing since 1963, and yes, she has beaten me on occasion. We love to travel to play golf, and we usually play in the Pacific Northwest, but we will travel to warm places in the winter just to get away for a couple of weeks. We usually go to Arizona, Palm Springs, Florida or Hawaii, but I’m willing to entertain any warm location. My Wilson Staff Nexus carry bag currently contains a Wilson Staff Triton driver and 17º, 22º, and 25º D300 hybrids. I will also swap out the 17º for a D300 5W. 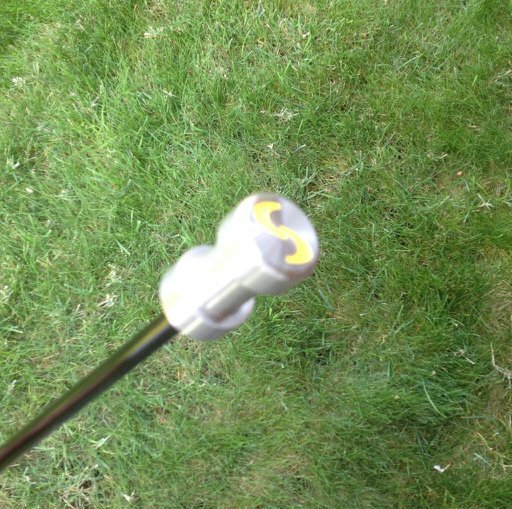 I also occasionally replace the Triton driver for a Bridgestone JGR, which is lighter and has a different trajectory. My current irons are the Bridgestone JGR Hybrid Forged irons from 6i to P2. What?? Apparently, in Japan they love very strong lofts; so strong that the set has two “pitching wedges”… P1 and P2. P1 is 38º and P2 is 44º. It’s actually fun telling my playing partners what I hit into a green!! 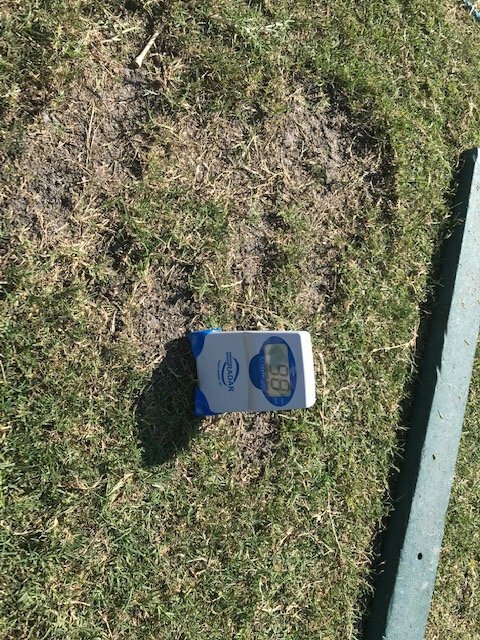 My scoring clubs are SCOR 50º and 58º wedges which I use for everything around the green except for bunkers. This year I added a Callaway Sure-Out sand wedge, and it is just that… a sure way out of greenside bunkers. Putter? I am not one to collect putters. I have only ever used five (5) putters in 26 years of playing golf, and one of those was the Nike Converge that I tested for the forum three years ago (it’s now in my wife’s bag). My gamer is a counter-balanced Ping Sigma G Doon that was custom fit at Ping last year. I love this putter, and it fits my stroke beautifully. It will leave my bag, when you pry it from my cold, dead hands. My current Ball? I am currently playing the original Kirkland Signature 4-piece ball until my supply runs out, in maybe a year or so (I don’t lose very many). I will play Snell or Srixon Z-Stars. While I like Titleist ProV1x, I won’t pay that much for a ball. For my game the ProV1x doesn’t provide added value. Most days I am at the golf course either playing or practicing; one of the benefits of being retired. On Monday and Wednesday I walk the course with 2-3 other old guys who I met at the club when I joined 3 years ago. I’m the youngest at 71. The others are 74, 75, and 78. We are all about the same skill level, and I hope I play as well as they do when I get to be their age. On Tuesday I am at the course mid-morning for 2 hours mostly working on my short game. I have to have a good short game to score because of my lack of length off the tee. I will spend maybe 15 minutes on the range, but I do not like to hit balls. I probably should do it longer, particularly with the mid-irons and hybrids. It’s just boring. 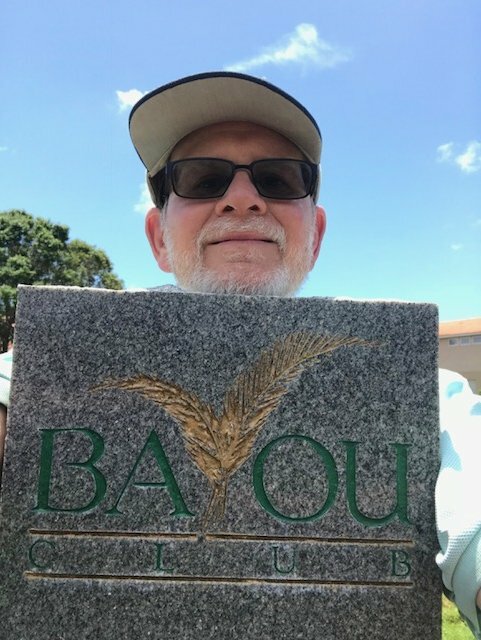 During the summer on Thursday and Friday, I will head to the club late afternoon for a little practice before my wife gets off work, then we will play a 9-hole practice round. It is almost too dark to finish nine holes now, so I will go back to morning practice on those days. On the weekends my wife and I will either play with a few couples, or we will get paired up with strangers. We have met some interesting characters! Over the years I have been fit and unfit. Throughout my life I have struggled with my weight. Never a great athlete; average in about anything I tried. In my 30’s I lost a bunch of weight; started running, and ran a bunch of 10K and longer runs, including Bloomsday in Spokane with 40K people. In 1993 I ran our Tri-Cities marathon in just under 4 hours; dang near killed me! When I finished, I quit running; I had enough. Three years ago I had my left knee replaced, and again I struggle with my weight. Physical activity today strictly consists of golf; walking 18 holes with a pushcart twice a week, and riding in a cart on the weekends. I do not spend much time on the range hitting balls except when working on my swing. I rarely hit balls before I play, but I do stretch and swing a Skilz Gold Flex. I can touch my toes… does that count? I know I should be doing more, but this old body just doesn’t want to cooperate. 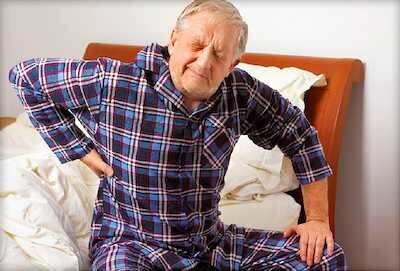 With each passing year, I am more sore in more places when I get up in the morning. Since my swing speed has been declining steadily over the past 10 years and it will likely continue, I thought that I should do something to see if I could at least maintain the speed I have. When I read about SuperSpeed Golf (SSG), I thought this training might be just what I need. The MyGolfSpy opportunities to test equipment are a wonderful benefit to being a member. I really did not think I would be chosen for this test, but I thought that if I was selected, it would be probably be the one piece of equipment that has the potential to positively affect my golf game. As I mentioned earlier, if I could get more distance off the tee, I could lower my scores since my short game is usually pretty solid. 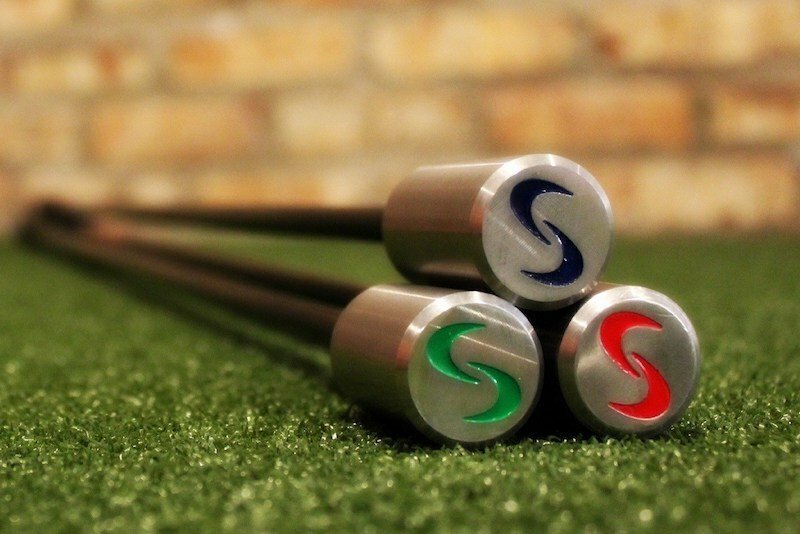 SuperSpeed Golf is located in Chicago. Testers located in the central US received their training clubs days before testers in the east and west coasts. Understandable, but I was anxious!! When mine arrived, the box had the Green, Blue and Red colors on the outside, which are the colors for the Men’s set. I opened the box to find the clubs that were Yellow, Green, and Blue, which indicates the Senior/Women/Junior set. Apparently, all sets are shipped in the same box, regardless of swing speed. The Green and Blue clubs are the same in both sets. I was expecting the Senior set because of my pathetic swing speed, but I was concerned when I weighed each club. SuperSpeed Golf states that the lightest club is 20% lighter than the driver, the middle club is 10% lighter, and the heavy club is 5% heavier. They base these numbers off the average driver with the head being 200 grams, grip 50 grams, and shaft weight. We were all asked the weight of our driver shaft. Mine is 65 grams. It seems that the Men’s set is relatively close to those specs. However, most senior drivers and some women’s drivers likely do not meet that 20/10/5% spec. I have two drivers that I will play, both regular flex shaft, and they weigh 317 grams and 328 grams. My wife’s TaylorMade RBZ with the stock Ladies Flex shaft weighs 306 grams. 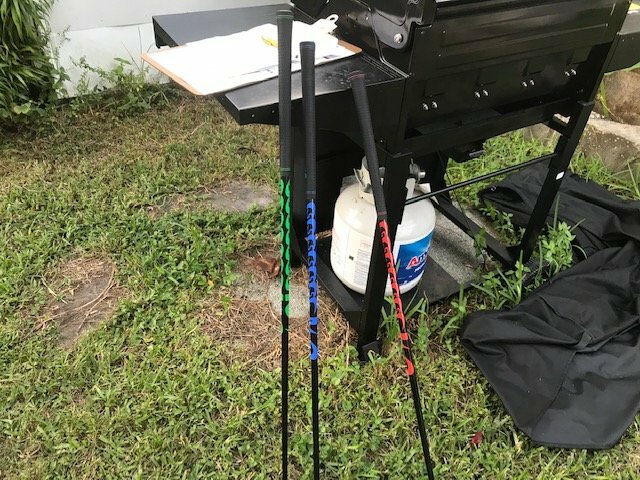 The clubs in the SuperSpeed Golf Senior set weigh according to my kitchen scale: Yellow 231 grams, Green 264 grams, and Blue 301 grams. 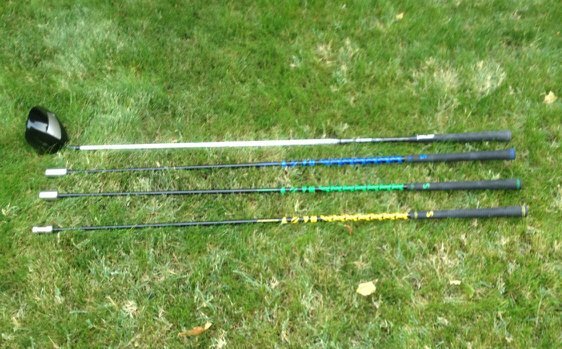 This senior set consists of SuperSpeed clubs that are Yellow 30% lighter, Green 20% lighter, and Blue 8% lighter. I will not be swinging a training club that is heavier than my driver. While SuperSpeed Golf asks for driver shaft weight, they consider the weight of the driver but look at individual swing speed below 90 mph as the determining factor when selecting the proper SuperSpeed set. I expect to gain speed following their protocols, but I don’t think there is any way to determine if the change would be more, less, or the same if the set contained a club heavier than my driver. Maybe I need a lighter driver!? All of the SuperSpeed training clubs are the same length, which is just short of my driver length of 45 3/4 inches. SuperSpeed Golf provided a Swing Speed Radar unit for testers to measured swing speed during this MyGolfSpy test. The unit is marketed by Sports Sensors, Inc in Cincinnati, OH and sells separately on the SuperSpeed Golf website for $120. This review will not evaluate the radar unit, but I will provide feedback as it relates to this test. SuperSpeed Golf uses the concept of overspeed training to increase club speed, and consequently distance. Overspeed training works to increase the neuromuscular reaction speed of a known motor program by reducing the load during a movement, allowing the body to move faster than normal. There are 5 levels of protocol training sessions. To complete all 5 levels requires 72 weeks. 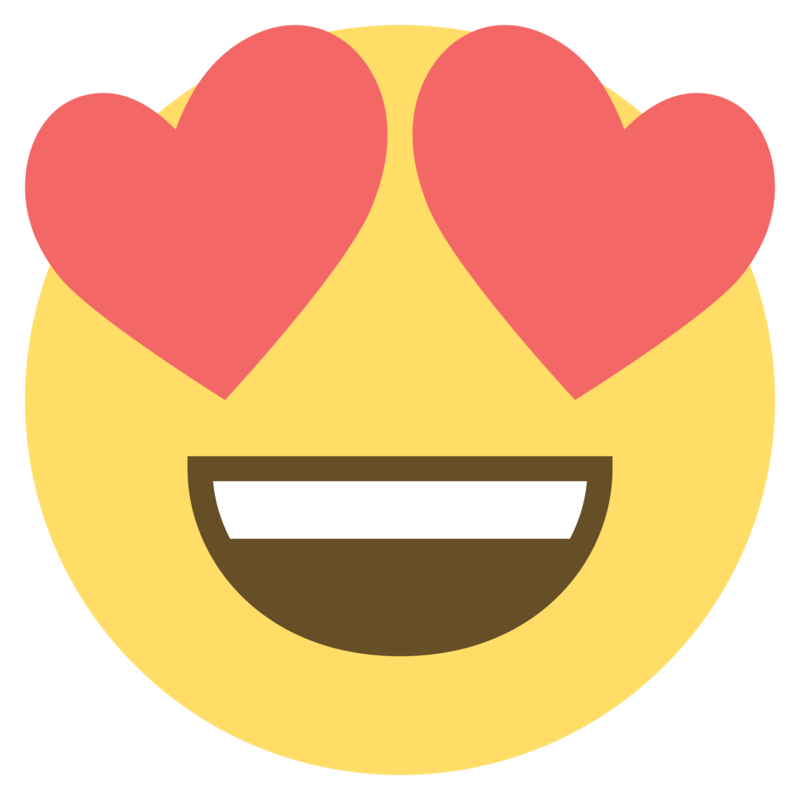 I am committed to complete the program, but the MyGolfSpy testing will produce a Stage 2 report before the end of Protocol 2. Each Protocol is to be conducted 3 times per week with a day of rest between sessions. According to SuperSpeed Golf, a session should NOT to be conducted after playing golf, and if golf is to be played on a training day, the Protocol session should be performed 3-4 hours before playing. Since I play golf on Saturday, Sunday and Monday, that means I will have to conduct a training session on one of those days. I am planning to perform the Protocol on Sunday, Tuesday, and Thursday; however, circumstances always seem to change well-planned intentions. SuperSpeed Golf has asked us to measure our driver swing speed with the radar unit prior to beginning Protocol 1 and then again at the end. The 83 mph swing speed is representative of the average of 5 swings taken early in the morning. I will be conducting the protocols in the morning most of the time. Although I currently do a few of these warmups prior to playing a round of golf, I will evaluate this set of exercises in the context of the SuperSpeed Golf training protocols. I am evaluating the SuperSpeed Golf training program as a slow swing golfer. Hopefully, I will be able to answer any questions that golfers out there with swing speeds less than 90 mph might have regarding issues, benefits, and results. Lets’ start a conversation!!! 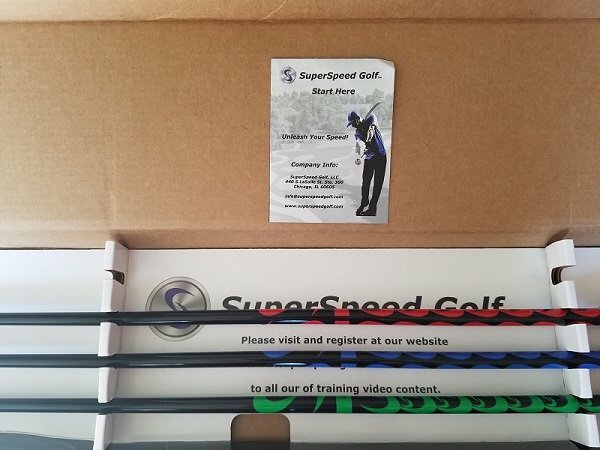 I would like to thank SuperSpeed Golf and MyGolfSpy for providing this opportunity, and I hope this review will be helpful to golfers with slower swing speeds like me. I also would like to thank the other MyGolfSpy forum members participating in this review of the SuperSpeed Golf Training Program as well as the many forum members that participated in the periodic updates that we posted in the first 14 weeks of the program. It is much easier to stay committed to a process when there is support coming from your peers. This review of the SSG Swing Speed Training Program only consists of the first 14 weeks of their 72-week program. These 14 weeks included 6 weeks at their Level 1 protocol and 8 weeks of their Level 2 protocol. At the time of this review the protocols being reviewed were revised protocols and not yet available on the SSG website. I have begun the SSG Level 3 protocol. 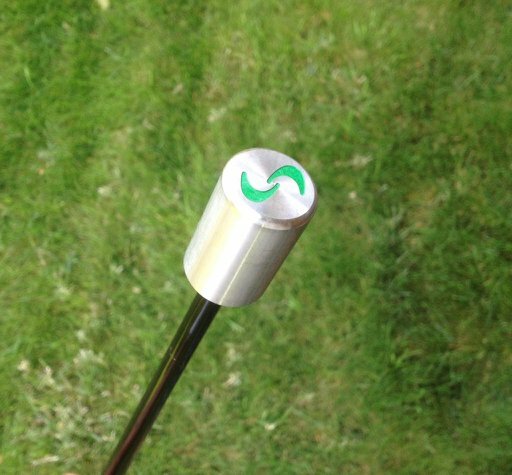 The SSG training clubs consist of driver-length graphite shafts with stainless steel cylindrical weights where the head would be. SSG sells three clubs as the system consisting of light, medium and heavy color-coded clubs. The Men’s set consists of Green, Blue, and Red clubs that are supposed to represent 20% lighter, 10% lighter, and 5% heavier clubs than your driver. 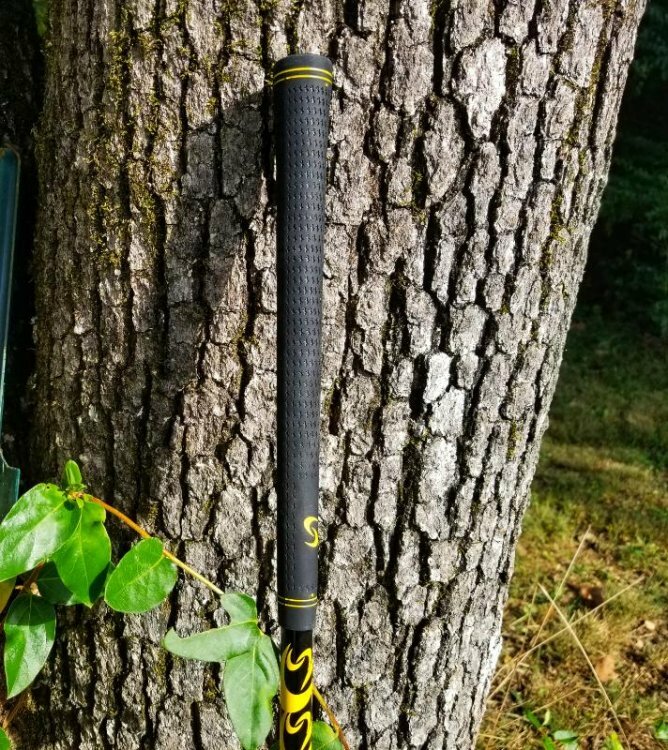 The basis for these numbers is a standard driver with a head weight of 200 grams, grip weight of 50 grams, and the shaft weight which can vary quite a bit. The Men’s set is appropriate for a typical driver with a 65 gram shaft. 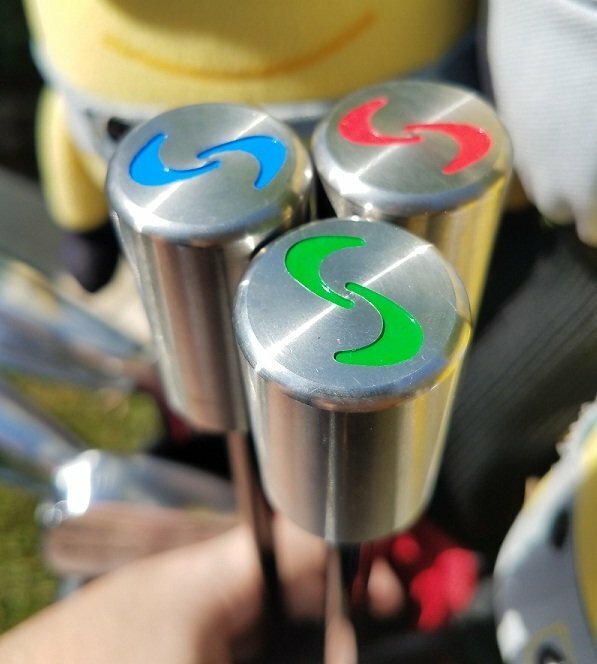 If you have a lighter shaft or driver head weight typical for seniors, women, or juniors, then SSG may send you the lighter set consisting of Yellow, Green, and Blue clubs. The Green and Blue clubs are identical in both sets. When contacting SSG about this product, you should discuss your driver weight and swing speed to get the correct set. I received the Senior set because my swing speed was under 90 mph. Although the shafts are graphite, they are much stiffer than my driver shaft; very stiff in my opinion. The build is solid; I had no issues during the review with the quality of the clubs. The grips are not my favorites, and although I didn’t replace them, I probably will soon. 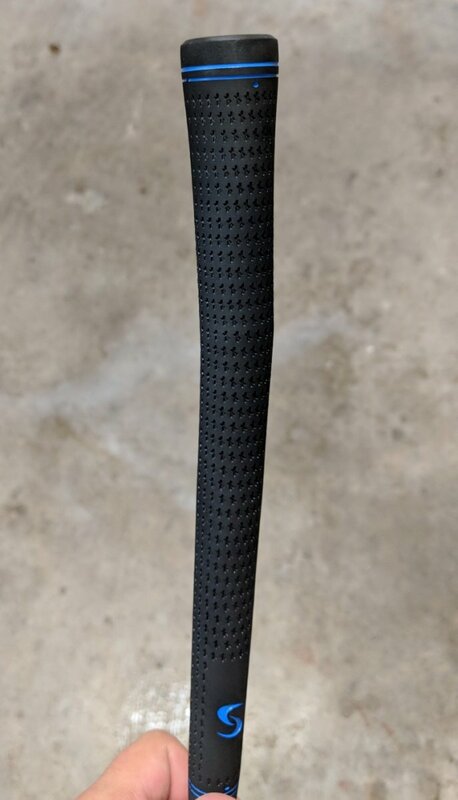 While a better grip could be put on the clubs, I believe most people that are committed to the program will likely replace the grips to their preferred grip anyway. The SSG clubs were received with the radar unit that they sell on their website for $120. While I don’t know if this unit is or isn’t better than any other radar unit on the market, I do believe that having a radar unit is absolutely essential to tracking progress with the program. I had no issues with their radar; it captured every swing I made. While I believe that a swing could be missed, it would most likely happen by swinging too flat and too high above the unit. The radar unit blinks after a swing if the speed is exactly the same as the previous swing. If another swing of the same speed follows, the display goes back to a steady reading; makes it easy to know that the unit captured every swing. It appears that the low end speed of the radar is somewhere in the mid-40’s mph range. Anything below that did not register. When our evaluation team started the Level 2 protocol, some of us were having trouble with a kneeling swing that was added to the Level 1 protocol. A pad is definitely required, and SSG responded by sending us their Stability Pro Pad which they sell on their website for $50. It’s a high quality pad, but something similar should be available at your local hardware store for a lower cost. My biggest problem when getting ready to perform the protocol is getting everything together. I need to find a small inexpensive carry bag for the clubs, radar unit, recording pad and pen, kneeling pad and store the equipment if a convenient place. Getting it all together to go outside in cold weather is inconvenient. SuperSpeed Golf uses overspeed training to get your body moving faster than it’s used to moving, essentially training your brain to recognize a faster swing speed. To do this the SSG program reduces the weights of the clubs from what you are used to swinging, and then gradually increase the load through a series of swing patterns called protocols. The protocols keep changing over time so the brain doesn’t get used to the same patterns. In order to achieve maximum results, SSG has three clubs, a club that is about 20% lighter than a driver, one that is 10% lighter, and one that is 5% heavier. When selected for this review, my swing speed and driver shaft weight were requested to determine to correct SSG club set that I would use. These criteria put me into the Senior set since my swing speed was 84 mph, but since my driver weighed 328 grams, the Senior set did not meet their -20%/-10%/+5% specs. All of the Senior set clubs were lighter than my driver and the specs were -30%/-20%/-8%. I believe that SSG should inquire more about the driver when fitting the SSG set. However, given my swing speed, the lighter set was a reasonable fit when I first started. If your swing speed is less than 90 mph, the Senior set is a good starting point, but the closer you are to 90 mph, the more likely you will need to add the heavier Red club before you finish the training protocol like I did. The instructions for the training protocols are quite clear. All training is demonstrated in videos provided on the SSG website. The protocols on the website were in the process of being revised; we reviewed the new protocols and videos sent our review group. Throughout the review period I communicated with SSG about the warmup exercises and the results I was seeing. SSG was very responsive to all communications, and as a group we met with SSG through conference calls and video conferencing. SSG even requested that we send in swing videos so they can assist in maximizing our speeds during the protocols. I was especially impressed with the SSG warmup routine. For such a short warmup activity, it seemed to get my muscles tuned up to make the best swings I could. I use it prior to range sessions, and if I don’t go to the range, I use the warmup routine before I head to the first tee. I inquired about adding an exercise for the obliques, and SSG said they had no plans to change their routine but “helicopters” could be added. I initially thought that conducting this training over the winter would be a great idea. I play golf year-round, but the weather is cold here in the eastern side of Washington State. However, I do not have a location out of the weather to conduct the protocols. When I started the training, it was quite nice outside, but the last month or so I have been training in low 30 degree temperatures. Here is a picture of my protocol training area. You can see that I have torn up the grass over a large area, trying not to dig into the dirt. If you have an indoor location for this training or have warm weather all year long, consider yourself lucky. I found it very difficult to drag myself outside, even for the 20 minutes to complete the protocol, three times every week. It would be easy to say that I will just skip today, but like every workout routine it has to be regular to be effective. Having a support group like the other MyGolfSpy reviewers commenting on their experiences and results kept me motivated. I would recommend to anyone considering this program to at least get a buddy, or several buddies, to push each other. I could easily see that when the expected swing speed plateau comes after the initial speed gains (and it will), doing the protocols alone will soon lead to the SuperSpeed Golf clubs ending up in the garage. The entire SSG program lasts 72 weeks and has 5 different protocols. This report was written after Level 2 was completed, and I am in the middle of the expected swing speed plateau. However, I believe that the protocols have value, not just for swing speed gain, but also as a golf-specific workout. I will be continuing this program, and I am hoping that other reviewers and members that purchased this program will continue to provide support in the forum. I really had no golf-specific work routines prior to starting this review. I rarely went to the driving range prior to playing a round of golf. I spent my pre-round time in the short game area and putting green and then performed some basic static stretching prior to heading to the first tee. About a month before I started the SSG protocols, I started using a Skilz Gold Flex club to help with stretching. I made 10 swings both right and left handed. When I started the SSG protocols, I continued to use the Skilz Gold Flex prior to performing the SSG warmup exercises. The SSG warmup makes me sweat (yes, I’m out of shape! ), even on those 30 degree days when dressed warmly. I would recommend adding some strength conditioning exercise if you are not already doing so. While this program focuses on swing speed, the heavy Red club is a beast and upper body, forearms and wrist strength exercises would likely help to gain speed. However, I would recommend that you don’t do any exercising, other than the SSG warmup, prior to the protocols. My observations indicated that later in the day after daily activities, protocol swing speeds were slower. DO NOT get out of a car after driving for 5 hours thinking that you are rested because you’ve been sitting and expect fast swing speeds. Maybe you can do it if you’re 30, but I couldn’t at 71 years old. Prior to performing my first session of the Level 1 protocol, the radar measured my driver swing speed at 83 mph. Really pathetic, and that was the reason for signing up for this review. After the 6 weeks of the Level 1 protocol, my driver swing speed was 93 mph. Impressive! A 12% gain; more than I expected. After the first 3 sessions of Level 1 protocol, my maximum swing speed with the lightest Yellow club was 99 mph. After 8 weeks and at the end of the 2nd week of the Level 2 protocol, my maximum swing speed with the lightest Yellow club was 110 mph. As a result of my new swing speed, SSG sent me the heavy Red club, and during the Level 2 protocol I used the SSG clubs from the Men’s set. Initially, the Green club was my middle weighted club, now it is now my lightest club. From the table you can see that generally my speeds with the Green club after completing the Level 2 protocol are about the same as they were for the lighter Yellow club after completing the Level 1 protocol. Similarly, the middle-weighted Blue club speeds after Level 2 are about the same as the Green club was after Level 1. Unfortunately, not much has changed with the Red club yet after using it for 6 weeks. While I did gain speed with the SSG clubs, my swing speed with my driver at the end of Level 2 dropped 1 mph from what it was after Level 1. 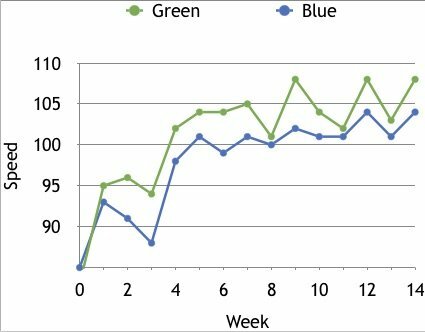 Here is what the data looks like for the Green and Blue clubs over the course of the Level 1 and 2 protocols. You can see the initial bump in speed and then a leveling-off effect. According to SSG this is typical and the plateau will extend into the Level 3 protocol as well. So, how does this swing speed translate to distance on the course? Well, I can’t say. At the beginning of this review the temperature was 65 degrees; at the end of the Level 2 protocol, it was 32 degrees. Yes, I have been playing, but the lower temperatures and wearing extra layers of clothing has affected my distance off the tee. However, I can say that I seem to be in about the same area of the fairways as usual, so I’m hoping that when it warms back up, I will see a gain in distance. Well, I’m not as accurate. The first few weeks of the Level 1 protocol produced some scary results. I visited parts of my golf course that I had never seen before. When I tried swinging my driver at the speed I thought I was swing a SSG club, I either pushed the ball way right or duck-hooked way left. After a few weeks I was a little better, but I may have consciously or unconsciously (I don’t know) slowed my swing down a little to keep the ball in the fairway. Accuracy is about normal now. I have not measured swing speed of my driver on the course. I should, but I am waiting for a warm day. I also had mishits that I haven’t normally had. A few times I have hit the ground several inches behind the tee. It’s a rare occurrence, but I have done it. According to SSG the gains in swing speed should be permanent now. I hope so; I will be taking 3 weeks off from the training due to personal travel. I will be continuing the training when I return. Is this Kool-Aid, and did I drink it? I don’t think so. Without doing anything different other than following the SSG training protocols, I have gained swing speed. An added benefit to this program is the golf-specific exercise that it provides, and it only requires 20 minutes, three days a week. Who doesn’t have time to do this, especially if there is a reasonable chance that it will improve their game? 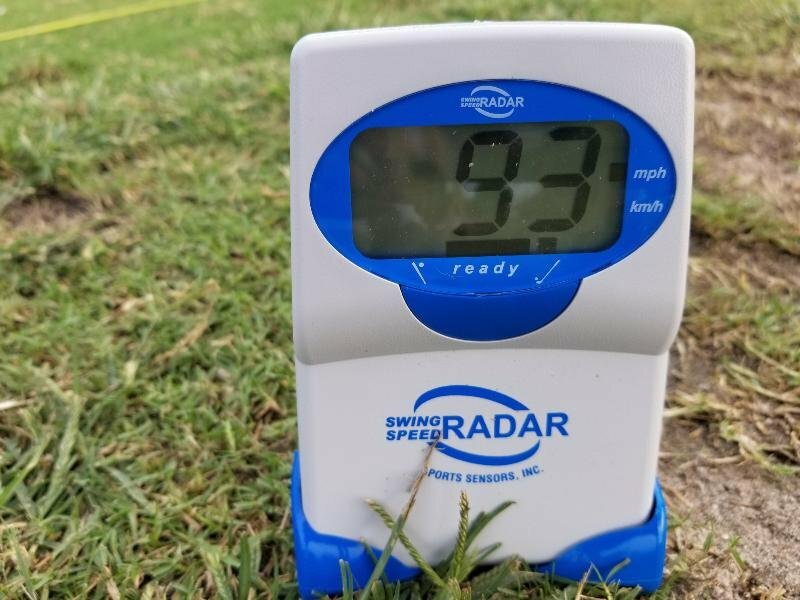 I really haven’t had the opportunity to see if the additional clubhead speed has translated into longer drives due to the changes in weather since I started the training and course conditions. The ball just doesn’t fly the same at 30º vs 65º. However, I have noticed that I seem to be closer to the drives of the longest player in my weekly Monday walking group. A few times I have outdriven him, but maybe the cold weather has affected him more than it had affect me. We shall see. If you are a senior or a player with a slower swing speed, I believe that this swing speed training program will quickly give you more speed. A person gets used to swinging at a certain speed, even when slow; I was, and while it’s possible to play decent golf with a slow swing speed, more speed should translate into longer driver distances, shorter clubs for second shots, and a higher ball flight. I want that!! I’m keeping the SuperSpeed Golf training clubs. If I can get still more speed from the Level 3-5 protocols over the next year… Great! 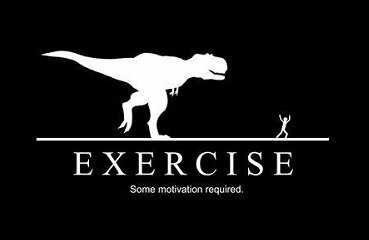 If not, it’s still a great exercise program. I am a 71-year old golfer with a slow swing speed. Using the SuperSpeed Golf training program and following their prescribed training protocols for 14 weeks, I have seen a speed increase. Unless you have a serious physical reason for not swinging faster, I am convinced that Overspeed training will increase your speed. How that translates into increased distance will clearly depend on how you take the increased speed to the course. This training is best if you have an outdoor space or an indoor space where you can swing freely. If you live in a cold winter region of the country, a warm location inside is preferred. I wish I had that space and I would be more likely to use this program during the winter months. Just like diets… it’s easier to commit to training when you have a support group. This training is only 20 minutes a day; three times a week. Since you will see speed gains and losses depending on how your body feels, it’s easy to skip a session when you don’t see a gain… Don’t! Train with a buddy, and you will have a better chance to stick with it. Yes, the SuperSpeed Golf program is expensive. However, for less than the cost of a new driver, the SSG program should be able to gain you more yards with your old driver than that OEM said you can get with their new driver. SuperSpeed Golf Swing Speed Training… Kenny B tested; Kenny B approved! 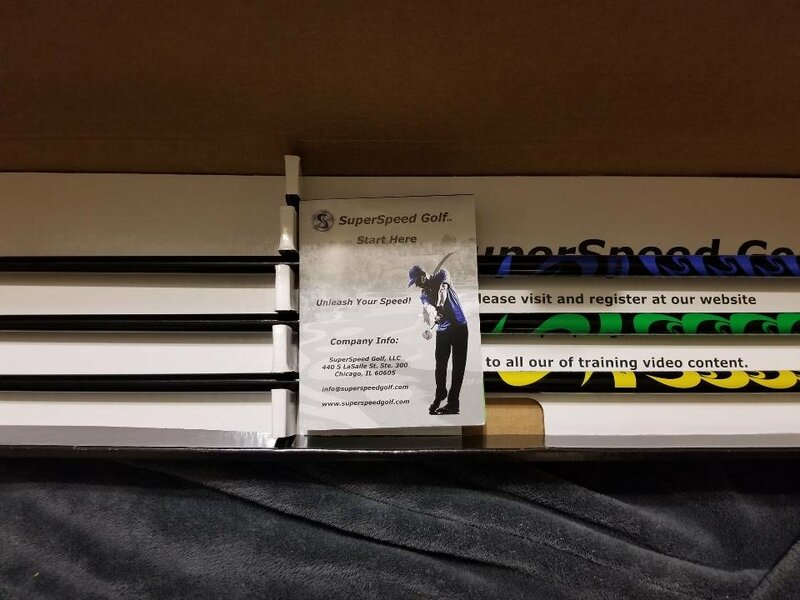 First and foremost, a big thank you to MyGolfSpy and SuperSpeed Golf for the opportunity to review the SuperSpeed Golf training system. I first picked up a golf club when I was 10 years old. My older brother played, and like any little brother I wanted to do what he was doing. 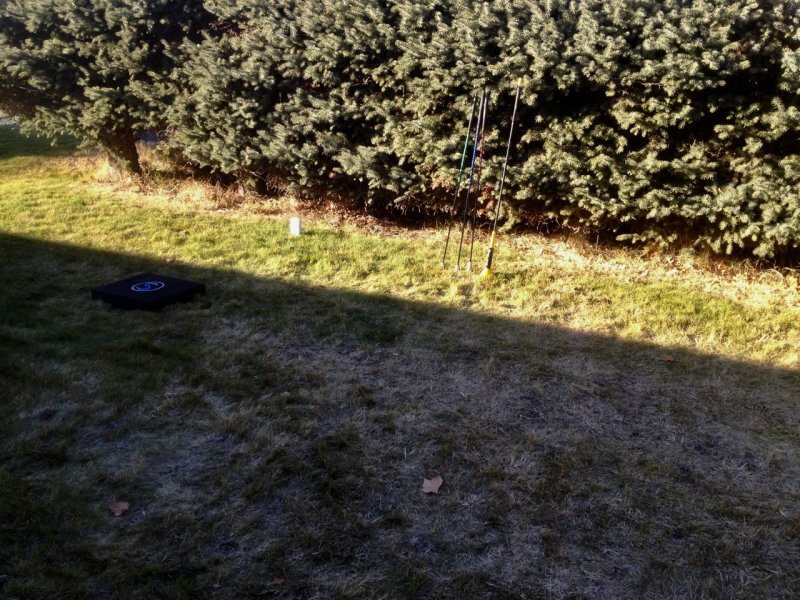 Through many ridiculous flop shots in our back yard, a few bladed wedges into the siding, and trips to our local muni, I fell in love with the game. I loved the outdoors and being able to play the same course 20 times without ever having the same shot twice. If I would have tried this I guarantee a broken window would have followed. I played in high school but slowed down with college and then family life (married with two kids). About five years ago I joined a weekly 9 hole public golf league and started to play more frequently. That led to joining the course as a member and playing in weekend events. I don't feel like I have any great strengths or weaknesses in my game. Some days I'm great off the tee but can't hit an iron to save my life. Other rounds I'll smack three drives in the water but hit 13 GIRs to save a round in the 70's. My handicap index has been between 5.2 and 6.5 this year. I never worked out regularly or did any type of fitness program until I hit my 30's. My first foray into the world of training was P90X3. I can't say it was always pretty but I did enjoy exercising for the first time. Ever since then I've tried to work out at least three times per week. Most of my workouts are geared towards functional fitness and rotational exercises to help with flexibility and stamina walking 18 holes. I have tried one golf specific program; Kai Fitness for Golf. I wrote a short review of the program here. I currently hit my driver about 260-275 yards depending on the course conditions. My 100 yard club is a 56 or 60 degree wedge, 150 is between an 8 and a 9 iron, and 200 is usually a 4-hybrid. The last time I paid attention to my swing speed was a few years ago when I was trying out new drivers. My range then was 97-103mph. 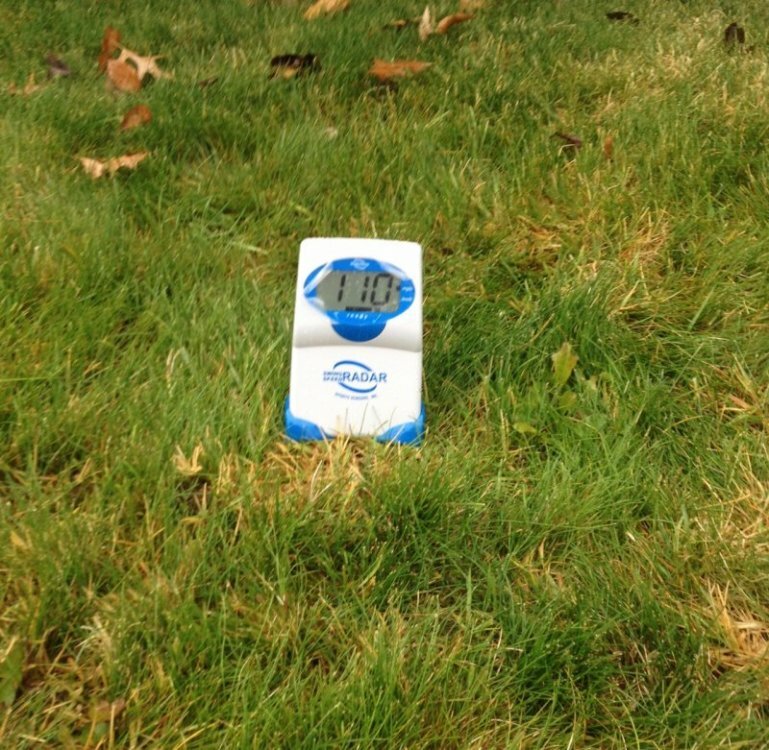 SuperSpeed was kind enough to provide us with SwingSpeed radar for this test and review. Using the radar at a local driving range my average was around 100 with a top speed of 104. Woo hoo, I got a box! Pretty standard packaging with the three different weighted shafts together in one box. Can't say there was much of a wow factor upon receiving the clubs. More of a "oh cool, now I can get started to see if this thing actually works" response. The written materials were extremely light with multiple reminders to visit their website for more detailed instructions. 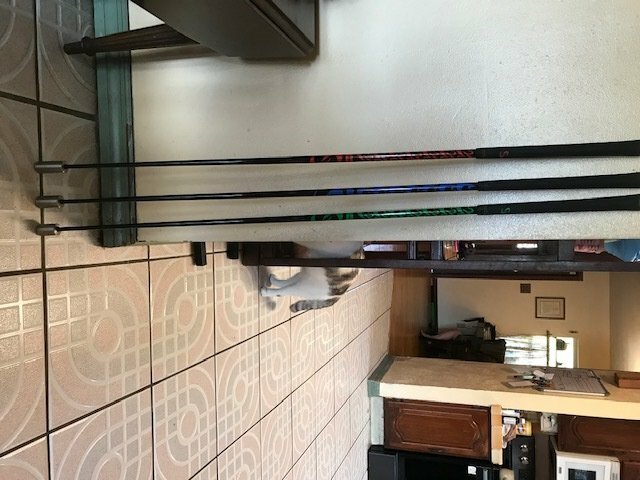 The three clubs each measure 45" long, which is right in line with my Callaway Epic driver that has been trimmed 1". SuperSpeed states the light, medium, and heavy sticks are 20% lighter than my driver, 10% lighter, 5% heavier. My super old kitchen scale confirmed the percentages were in the ballpark. 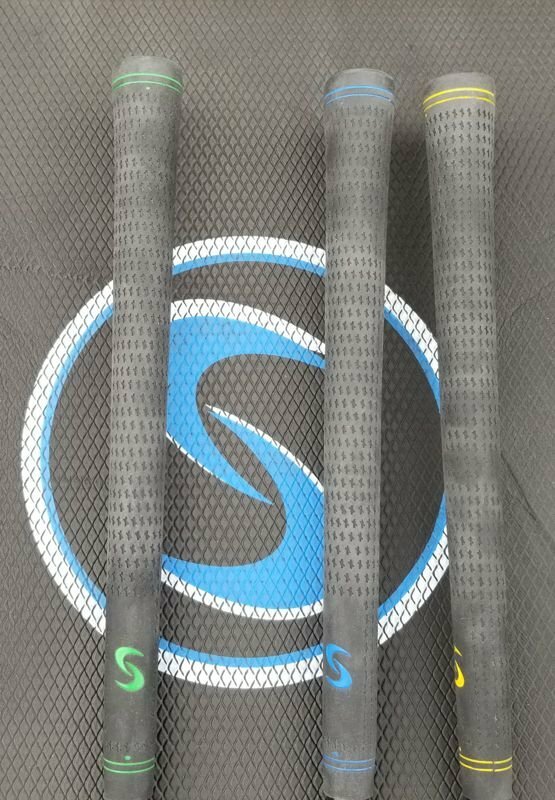 The grips look to be a standard Golf Pride type grip; though no logo can be found so it's probably something made specifically for SuperSpeed. The grip shouldn't be a big deal since I'll be using these in my basement and they won't be subject to any outdoor conditions. 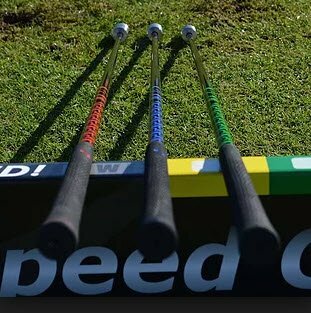 While SuperSpeed is careful not to promise any specific increases in your swing speed or distance, they do mention that players typically gain 5% over the first 6 weeks. Their website lists a 1mph increase = approximately 2.6 yards. For my 104mph max swing speed that would be about 13.5 extra yards. I intend to follow the prescribed training plan to the letter. The plan calls for three sessions per week, approximately 15 minutes per session, one day off in between. 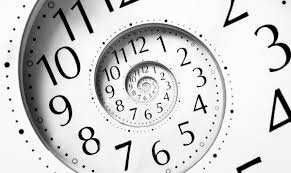 While the website lists 3 main protocols to follow we will actually be testing out a brand new plan that contains 5 levels over 72 weeks! Yeah, I was shocked at the 72 week thing too. This should be extremely interesting testing out a brand new training protocol. We'll plan on having weekly check-ins but the main performance updates will happen as we complete the first two levels at 6 and 14 weeks. The 14 week update will be a big one as I believe many people outside of this test group would give up on the program if they don't see significant increases after 3+ months of work. I'm not worried about following the Level 1 protocol swings as they are just regular stance and feet together step-swing from your dominant and non-dominant sides. Where things should get interesting is in Level 2 when you get to incorporate kneeling swings both right and left-handed. My biggest fear for the program is that I increase my swing speed but can no longer find the center of the club face. The training protocol calls for you to swing as hard as possible 6" above the ground, so it's not exactly a real swing towards a target. I will consider the SuperSpeed training system a success if I am able to increase and maintain my max swing speed by 5% or more without any accuracy loss. I don't believe the product will increase my general fitness since its only 15 minutes a session and I already exercise at least 90 minutes per week. An extra benefit would be if it keeps away the winter rust over the long Wisconsin winters. Welcome back to Stage 2! Thanks again to MGS and SuperSpeed for the opportunity to review this program. During Stage 1 I mentioned that the 14 week update will be a big one as I believe many people outside of this test group would give up on the program if they don't see significant increases after 3+ months of work. Well, those words proved to be prophetic. Read on to find out why! I haven’t had issues with any aspect of the clubs in the 14 weeks and approximate 2900 swings I’ve taken with the clubs. There really isn’t anything eye-popping about the design, so I could see how someone with a little DIY experience could make their own version without a lot of trouble. There shouldn’t be any problems with long term durability as long as the product is used as prescribed. I did have one instance where I grazed the concrete floor of my basement, but other than a few sparks it was perfectly fine. I could also see a need to replace the grips after awhile as you are swinging at max speed with each club. As mentioned in our Stage 1 reviews we are doing a new training program that is not currently listed on SuperSpeed’s website. We’ve had multiple conference calls with the SS team to go over everything in detail. Even without that calls I don’t think anyone would have too much trouble figuring out how to do each of the swings. Did you need to ask for help or search online for an answer during setup? SuperSpeed was proactive setting up calls with us before each of the first two stages to make sure we understood was coming up. Everything was pretty straightforward and easy to follow though. Daisy and Kyle at SS provided great support to us. We’ve had multiple conference calls with them to go over each part of the program. They have also been extremely quick to answer any questions that came up along the way. When I asked about being sore from incorporating a general fitness program with the training they responded the same day with some great suggestions to minimize fatigue. Does the plan seem to be the appropriate length? Our full training program is extremely long. We are writing our Stage 2 reviews after two levels and 14 weeks of training, but the full program covers 72 weeks. I was definitely intimidated when we found out about the length, but it’s great that they design it for that long to make sure you are achieving maximum gains. Realistically I’ll probably do the prescribed 3 session per week during the winter months but less than that during the summer. Is there anything missing or that doesn’t make sense to be included? One item I would recommend with the training sticks is the purchase of a radar device that can measure your swing speed. At first I didn’t think it would be necessary, but along the way I realized how valuable that instant feedback is as a measuring stick and motivational tool. I would also highly recommend purchasing a foam pad for the kneeling swings. The $50 Stability Pro training pad on SS’s website is very nice, but a bit overpriced in my opinion. A $10-$15 pad would be more than adequate. Are there features that seem exceptionally intuitive and provide real benefit? Is the program easy to keep up with or is it a struggle to self-motivate? Each of the training sessions on its own is very easy. Long term this could be difficult to stay motivated unless you have a friend or online group to follow along with. The 8 weeks of my Level 2 did not produce measurable results and I would have struggled to continue the program without the mygolfspy thread as a support group. Is there a substantial follow-up/long-term plan? Is 72 weeks long enough for you? It seems like SS has thought this out thoroughly to make sure people will get maximum benefit if they put in the work. That’s really the key to this entire training – you get what you put into it. Winter months are definitely my most active exercise months. I’ve done numerous workout programs before, including a few golf specific ones. I don’t see much of a physical benefit from the SS program like other exercises. This is really meant to increase your swing speed and not be a substitute for general physical fitness. If you are only looking to improve your swing speed it can be done on its own. If you are trying to lose weight or get in better shape you’ll definitely need a separate program. What are your actual swing speed or distance gains? The most important question; did my swing speed improve? The short answer YES. Am I happy with my improvements? Not so much. According to the provided SwingSpeed radar my starting driver club head speed was 104mph. After the first 6 weeks of Level 1 my speed jumped up to 111mph, a 6.7% increase. If I had written this review after 6 weeks I would have given it a 100 out of 100 and been out of this world happy with a nearly 7% increase. My average driver swing speed after 14 weeks measured at 110mph, an increase of 5.7% over the starting speed but a drop of 1mph from week 6. Hard to put into words how bummed I was to put in 8 weeks of work and see a 1mph drop in average speed. SS did mention a plateau phase after the initial bump of Level 1 so hopefully I’ll see another increase coming in the next few weeks. Here are my overall results for each training club and my driver speeds. Driver speed is an average, SS numbers are max swings for the week. This is not determined for me right now. If I don’t see additional improvements over the next 4 weeks I’m not sure I’ll be motivated enough to continue the program. That would make 12 straight weeks of no gains and make me question if I hit my ceiling with the sticks. Do you play better or worse now? My first training session was on September 27th. 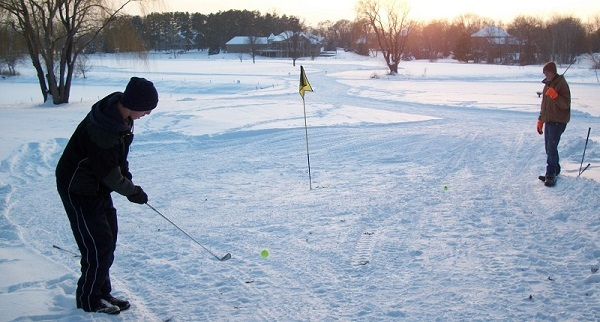 I live in Wisconsin and was only able to golf a few more times before courses started to close because of the cold. In the few rounds that I did get in I noticed a tendency to over swing with my drives the first few holes before I finally found my normal swing again. It doesn’t seem like this would be a long-term issue but I won’t know for sure until the spring. Having 4-6 months of winter every year in Wisconsin definitely leads to a lot of rust once the spring season starts. While I may not use the training program during the summer months I definitely see a benefit to keeping the clubs for use during the winter. I feel like I could hit the course tomorrow and have the potential to shoot my handicap. The program will mostly likely work at some level for everyone as long as you have the space to use it. If I didn’t have 8.5’ ceilings in my basement I don’t think I would be able to complete the program during the winter. Anything lower than that and I wouldn’t feel comfortable swinging the clubs full speed. I’m keeping it and will use it in some form each winter but maybe not over the summer. Overall I’m pretty happy with the SuperSpeed training program. It gave me a 7% increase in driver swing speed over the first 6 weeks of the program, but I didn’t see any gain over the next 8 weeks. If I end up seeing a few more MPH in the next month I would probably bump up the overall score to 80. The product itself is well built but someone with any DIY skills could most likely make their own set. The biggest benefit of buying through SuperSpeed is access to their 72 week program and the fantastic support you’ll receive from the company. Daisy and Kyle answered all of our questions within hours of asking them, and they assured us that anyone that purchased the program would receive the same level of service. The biggest issue is making sure you can stay motivated on your own to complete three sessions per week. I'm sure I would have skipped some training if it weren't for the MGS forum. Thanks fellow testers! What happens when I stop doing the program? Do the speed gains go away much like when you quit exercising? We were told it is mostly permanent after a period of time but we won’t know for sure until someone stops the program and measures their speeds. What is the maximum gain I will end up seeing? With only three different clubs it seems like you would eventually hit a ceiling in how much you can improve. Being in pretty decent shape before starting the program I’m afraid I’ve already maxed out and won’t see measurable gains in Levels 3-5. Only 58 weeks left to go. I bumped up my original Stage 2 score from a 70 to an 85. I finally saw my 2nd big jump in speed to the point I'm now hitting 115mph with my driver. I started the program with a 104 average so to see max speeds of 115 is nothing short of amazing. I could no longer justify subtracting points from the performance since the program did exactly what it was supposed to do and then some. But, before we get into that, perhaps a little background information will shed some light on my tale as a golfer. When I was about nine years old, I can remember walking along with my parents, who were pulling their golf carts down the fairway. I proudly carried one club in my handsâ€”and old junior sized 3 wood that they would allow me to hit occasionally from the fairway and off the tee. My mother or father would lend me their putters to use on the green. And from that early age on, I was hooked! I grew up in the suburbs of Milwaukee. Our home course was the original Tuckaway, which long-since has replaced by the present-day course which played host to the PGA's Greater Milwaukee Open for several years. The majority of our family vacations, when I was a kid, were golf vacations. One of our annual destinations was to French Lick, Indiana, (back before the present-day renovations). My first lessons were from my folks. Dad was captivated with Julius Burrows at that time and avidly studied his instructional book, â€œSwing Easy, Hit Hard.â€ He tried to pass along his knowledge to me but, eventually, it was the lessons that I received in junior league at Tuckaway that formed the fundamentals of my swing. That was back in the day where Nicklaus' long â€˜armsy' swing (now they call it â€˜two plane') was the swing to emulate. 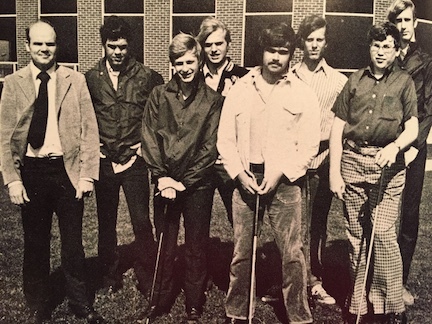 And while I had moderate success into my high school years, I never was able to compete on the same level as the rest of the guys on our golf team. Golf was the only sport I participated in but, even then, I was usually the first alternate on the squad. I never was all that athletic (a point that will come up again in this intro) but every once in a while, I'd know the joy of that shot struck purely, outdistancing my buddies, and, as they say, making me want to come back and play another day. And while shooting a low score makes me feel great, a round of golf for me is about the camaraderie. 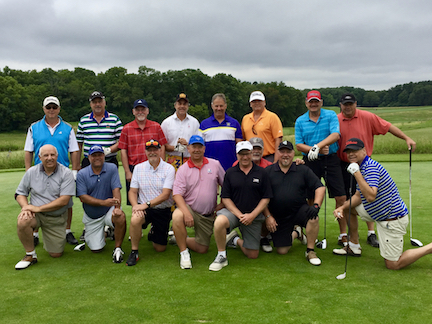 Several of my high school buddies and I still get together every year for a golf weekend that we've come to call, â€œThe Green Lake Open.â€ Green Lake, in Wisconsin, is home to several great courses, including Lawsonia and Mascoutin. We rent a house together, play for daily proximities, and for the coveted three-day's tournament trophy. We refer to the golf as a â€œstern test,â€ but it's the friendship that we treasure the most. Simply put, I love the game! And, in an effort to get better at it, I took more lessons, read more books, andâ€¦ became even more frustrated at my lack of consistency. No doubt, the conflicting advice that I received from one teacher to the next has had a great deal to do with it. It finally culminated in a desperate attempt to go â€˜all in' by forking out the cash to take a series of lessons at GolfTec last year, where they proceeded to revamp my swing into a â€˜one plane' approach. With the result (and I think I'm not alone in this) that I'm prone to starting off the first hole with one type of swing, only to hit a few errant shots and then, in a panic, switch to a completely different swing thought in a desperate attempt to salvage my game. And so on, and so forth. 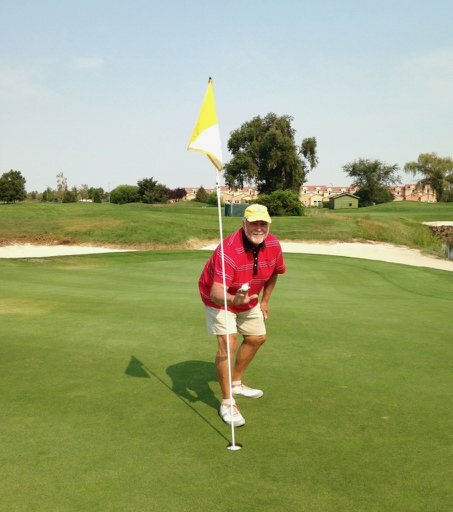 These days, at age 62, I play to about a 16 handicap. A typical round consists of a half a dozen pars, maybe a birdie or two, several bogies, and then a few holes that I refer to as my â€˜Helen Keller' holes (7's, 8's, 9's). Inconsistency is my biggest struggle. When I'm driving the ball well, I'm usually scoring well. It's the errant drives that get me into the most trouble and end up costing me strokes. When I'm on, I can usually drive the ball about 230. But, normally, I'm only hitting the fairway about half the time; the rest are out of bounce, in the hazard, behind the tree, or deep in the rough. I can't hit a three wood to save my life, so I've got a 3 and 4 hybrid in my bag that I hit 190 and 175 respectively. My iron play is pretty consistent. A 6 iron is my 150 club. Generally, I'm hitting half of the greens in regulationâ€”corresponding to the driving accuracy which, undoubtedly, is no coincidence. Pitch shots and chips shots are pretty good. My putting has improved considerably since switching over to a Ping Anser 2 last year. My woods and irons consist of a Maltby KE4 set with KuroKage graphite shafts that I picked up last year. GolfWorks put them together for me using the stats that I received when I had my fitting done at GolfTec. I just couldn't bring myself to fork out the cash for another name brand set. In the past, I've played everything from Cobra to Adams. But I'm satisfied with how this set has performed for me at a fraction of the cost. 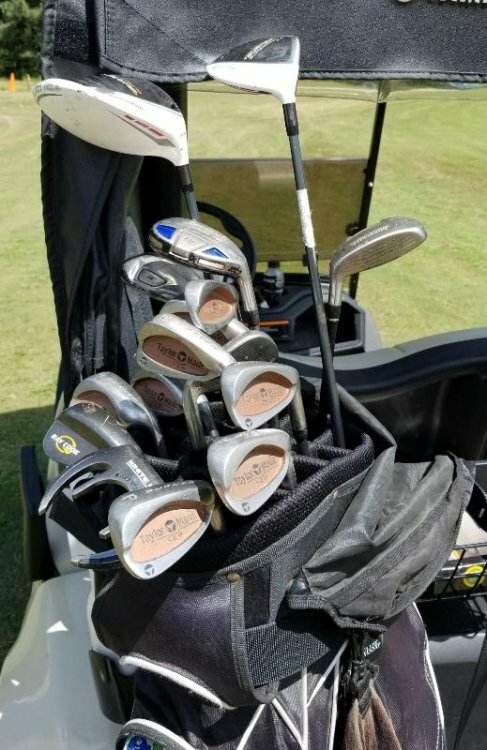 A couple of times, when I was playing with one of my friends this summer, I tried out his driverâ€”mine has a regular shaft while his is a stiffâ€”and I found myself hitting my drives about 15 yards further with his club. Soâ€¦ I'm seriously toying with the idea of getting one for myself. But, a lot depends on how this test turns out. I went to the range today to officially begin the protocols that have been laid out for us (on the coldest day that we have so far this Fallâ€”49 degrees for a high). 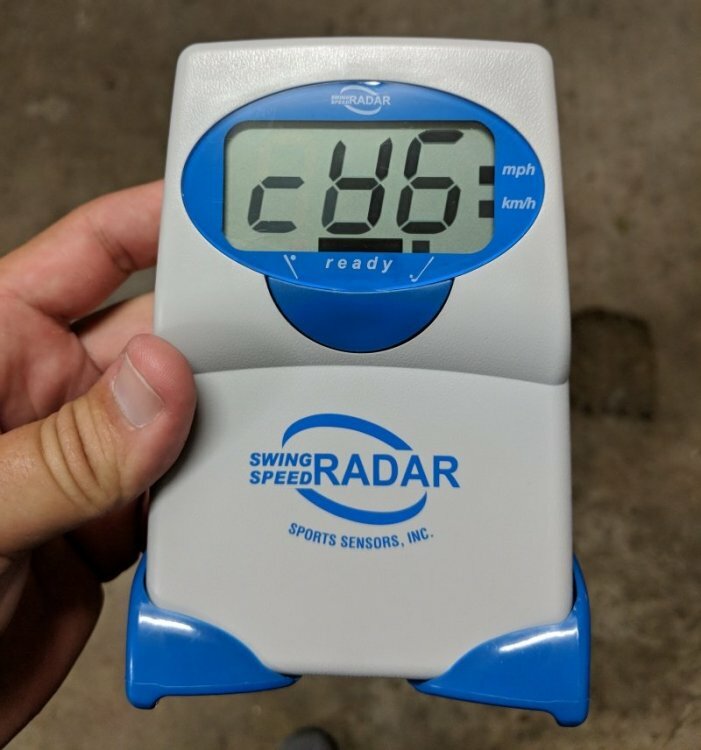 Using the SwingSpeed Radar, I determined that my current driver speed was between 88-92. Overall, my mainobjective for my game is to settle into one swing that I can use consistently while recognizing what I did wrong mechanically when an errant shot occursâ€”and NOT panic, but stick with the plan. As far as thisparticular test goes, it's going to be interesting to see if I can marry a consistent swing with an increased swing speedâ€”meaning, can I develop a faster swing speed while maintaining control and accuracy? I certainly don't want to be flailing away just to see how fast I can swing the club without employing proper swing mechanics; ie. grip, posture, position at impact, etc. I've never been one to take a furious tear at the ball. A Freddy Couples rhythmic swing has characterized my style, more than a grip-it-and-rip-it approach. And, yet, the prospect of gaining more speedâ€”and, hence, greater yardage per clubâ€”is very appealing. Right? As I mentioned above, I've never been an athletic person. If ever I've tried a workout routine, it's usually consisted a short-lived treadmill walk for a couple of weeks. I'm 5'9â€ and about 182 lbs. I've dropped about 20 lbs over the past two years so, overall, I'm feeling pretty good. The warm-up routines that are required in this program, without a doubt, will be the most consist stretching that I've ever done. The fact that the protocols require these warm-up exercises will be good discipline for me. 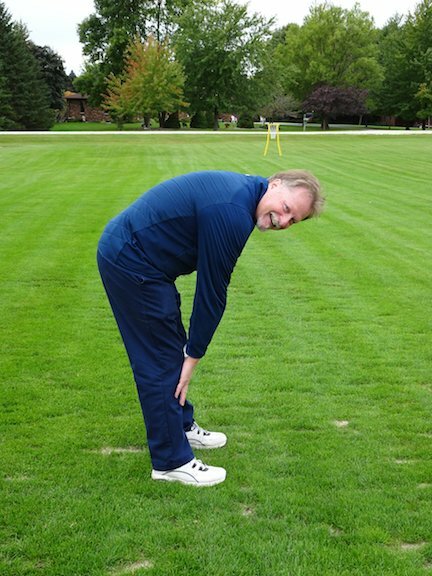 Although, trying to keep my back straight while bending over to touch my toes (as is called for in the protocol warm-up exercises) is indeed an exerciseâ€¦. in futility. As I indicated before, I've never had an aggressive swing. And, I doubt that that is the goal of SwingSpeed, to have you swinging like a maniac. But, at the same time, I've never really tried to push myself to see if I could play with a somewhat faster swing which, logically, would correlate into added club length. As my data indicates, I'm at the low end of a moderate swing speed. I'm thinking that if I can increase my speed consistently by, let's say, 5mp, then that should translate into an increase of 12.5 yards (using the formula 1 mp = 2.5 yards). If that ends up putting me closer to the average swing speed for a stiffer shaft, then I should be looking forward to significantly longer drives off the tee. But here's the rub: Living on the shores of Lake Michigan, about 75 miles north of Milwaukee, puts me quite near the end of the golf season. While I'll still be able to gauge my swing speedindoors, I won't be able to see the actual results on the driving range until spring. And, yet, perhaps that's all for the better. This way, I'll be concentrating more on the mechanics of the protocols without developing a positive or negative impression on how's it's working out until I've gone through the entire program. And, given my proclivity for wanting to â€˜tweak' things mid-round on the course, I'll just have to stick with the protocols that are laid out for me. I'm about to embark upon my very first week. 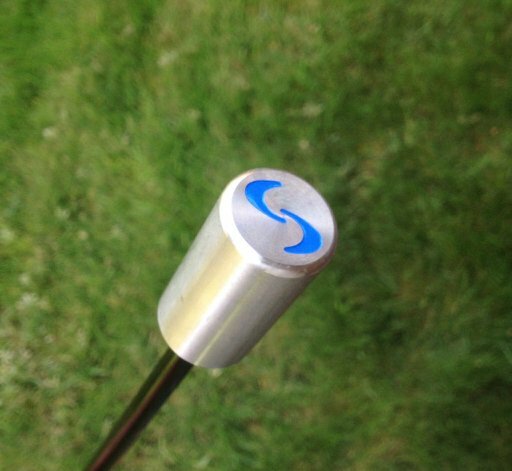 From what I've read, the SwingSpeed system has been very popular on the Tour. And while my game is nowhere near that caliber, I'm expecting positive results, nonetheless. 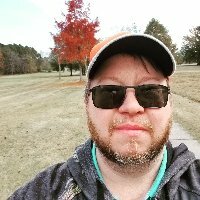 So, I invite you to follow along with my progress. I'll report to you all of my triumphs and frustrations. Most importantly, I'll give you my honest impression as to whether or not this system lives up to the hype and is worth the investment. Let me begin by extolling the customer support that we have received from the folks at SuperSpeed over the past several months. They couldn’t have been more helpful or accessible. I’d give 20 out of 20 points to the SuperSpeed sticks themselves. They’re well engineered, consistent from one progressive weight to the next, and they look sharp! The senior set was perfect for me—I’m 63 years old and of average build. I don’t think I would have done as well the regular weight set. As I indicated in my initial, Phase 1 report, I was excited to have been chosen to do a member review on this product—my very first time being picked! Little did I realize the commitment that would be involved in meeting this responsibility. This wasn’t a case of grabbing a club, playing a few rounds with it, and then giving my opinion. There were warm-ups, protocols, measurements to be taken, and a hand-full of equipment to carry around in order to record the results. The biggest hurdle was the time commitment. Three days a week at approximately 30-45 minutes per session. And, to complicate matters, winter comes early here in east central Wisconsin. In fact, I’m taking advantage of the coldest day on record (-50 degrees windchill) in order to write this review. So, much of my practice was confined to my wife’s preschool classroom area, which afforded my enough space and ceiling height to practice my swings after the kiddies went home. And it IS a workout. The various exercises, combined with the number of repetitions, makes this a challenge. Granted, it doesn’t come close to what you would be doing on a treadmill or in a gym, but it can get you winded, nonetheless. The program IS a commitment (I know, I keep using that word, Inigo Montoya) but it’s the best way to characterize what this product is all about. And, with that, comes to question of commitment. I’ve got to tell you, it’s not easy, especially as the snow flies and the prospect of getting back out onto the course still is months away. And that’s why I’m going to give 10 out of 20 points to the program. I know what you’re saying, “It doesn’t sound like there’s anything wrong with the program itself; it sounds more like you’re too lazy to put in the effort.” And you’re correct—to a point. But inherent to the concept is the expectation that the participant will want to follow through; and all I’m saying is that might be a major drawback when so much time is being spent on how fast you’re swinging but not upon HOW you’re swinging. I’m giving it 40 out of 40 points. As promised, I did see a significant gain in my swing speed. This occurred within the initial phase of the program, after six weeks. I went from a starting driver speed of 92 mph to a maximum speed of 102; an increase of over 10%. How did this translate into driving distance?? Unfortunately, I have no idea. Like I said, winter comes early here. When I started the test, the end of the season already was close at hand. 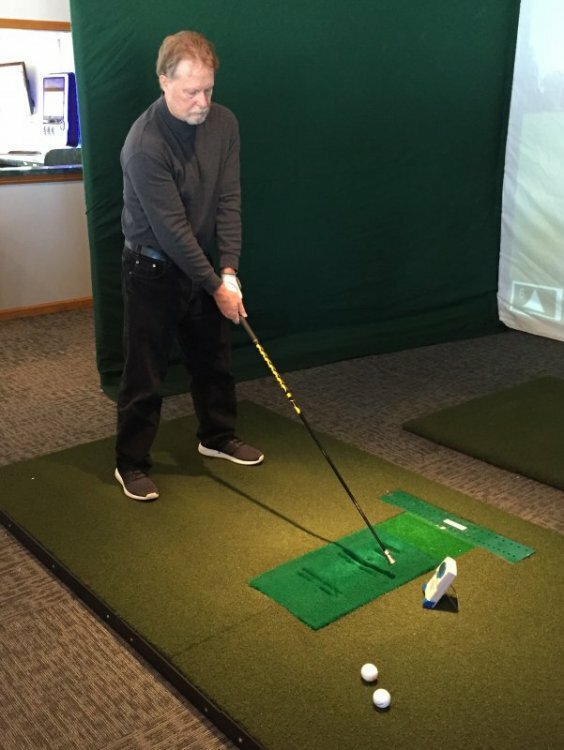 So, by the time I completed the six-week session, I was compelled to have to seek out an indoor range just so that I could hit some balls with my driver. And, although the simulator indicated a decent ball strike, I wouldn’t be able to trust the distance results when compared to actual on-the-course play. Given those limitations, my impressions, however, were favorable. I’m optimistic that my increased swing speed will, in fact, return some favorable results in added distance come this spring. And, more than anything, I was hoping to gain enough speed to warrant (ie. find a good excuse) to purchase a new driver, preferably with a stiffer shaft. But I’ll hold off making that decision once I go through a proper fitting. So, the big question is, would I recommend SuperSpeed and, if I had not been picked as a tester, would I have spent the money to purchase the product. To the first matter, there is no question that the program is solid. SuperSpeed has put together a quality product and, as I indicated before, their customer support is top notch. You will need to purchase a radar if you’re going to be able to track your progress sufficiently. 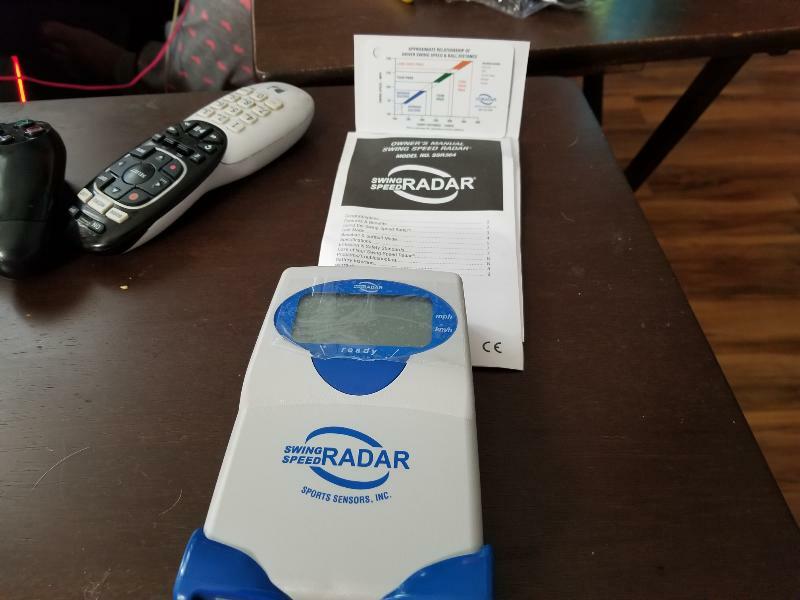 I’m not sure I would recommend the radar that SuperSpeed sells; I think that there are more accurate radars on the market but you’ll probably pay extra for the precision as well. As to the second matter, honestly, I would have to say that I probably would not have made the purchase. I’m a 16 handicapper. My issues are not so much speed as they are technique. A faster mediocre swing is probably going to mean errant drives farther out of bounds. I’m entirely convinced that I would be better off taking that $199 SuperSpeed Training investment, along with the $100+ radar purchase, and put it all toward lessons with a PGA Pro. Personally, then, I’d give it 5 out of 20 points. There’s no question that SuperSpeed is a hit on the professional and that the guys likely are seeing some significant results; but that’s with someone who already has honed his/her swing. I think that that was evident even among the lower-handicap testers in our group. The product will benefit the good player the most. That being said, I have no doubt that I’ll gain some benefits from the program. Better muscle memory. More flexibility. A swing that better utilizes core muscles. And, yes, additional swing speed. If I can marry those things together with better and more consistent contact, then I’ll be playing in the single digits next summer! Thank you again to MGS and SuperSpeed for this opportunity! After reading my previous review, I realized I didn’t put any focus in the Intro section about myself outside of golf, so this time, you get to learn a little more about me. I am 30 years old and am living in the San Francisco Bay Area. Growing up in the tech hub of Silicon Valley and being so near the famed courses of Pebble Beach, this area gave birth to both my passions in life: technology and golf. The former being my career, in which I develop diagnostic software for automotive scan tools, and the latter being my greatest love and hobby. Since I apparently don’t value my nights or my free time, I am also a part-time student at San Jose State University, where I am slowly chipping away at a Bachelors Degree in Business Management Information Systems. I am going to keep this section short as I covered it in my KBS $-Taper review. I will focus on going over what has changed (deteriorated) since that review. You will notice that the little handicap number below my avatar no longer shows the “12” I so proudly offered up a year ago. And before you think it, no, the KBS shafts were not to blame in any way shape or form! My official handicap has sadly fallen from 12.4 from a year ago to a 16.9 as of my latest revision. I blame much of this on my fitness, or lack thereof. My fitness has been in a downward spiral in the recent years and my golf game has gone with it! You’ll see all the juicy details below! Since SuperSpeed Golf is as much a fitness device/routine as a training aid, it is necessary to embarrass myself and bare all when it comes to my current fitness levels, both overall and for golf. Spoiler alert, they aren’t very good! No need to sugarcoat it, I am overweight and have struggled with it since graduating high school. I played football in high school and was in excellent shape up until the season ended my Senior year. From this point, my daily workouts ended, but my voracious appetite didn’t. I went from a 230 lbs fullback to, 12 years later, weighing in at an all-time high of 295 lbs. Even at this weight, I still have a hint of athletic ability but it’s nowhere near what it was and where I need it to be. I recently started seeing a personal trainer (my first workout session was the weekend prior to being selected for this review) and plan to continue with personal training alongside the SuperSpeed program. I am seeing the personal trainer once per week and am attempting to get at least one additional workout in per week. 200 yards: 3 or 5 Wood!! And now, for the moment you’ve all been waiting for, the golf number most often inflated by ego driven golf forum keyboard warriors and office gossipers alike, and one of the main bases for this review…. Prior to setting up the supplied Swing Speed Radar on the range, I believed my swing speed to be in the 90-95 range based on Trackman and Foresight numbers I've seen within the past year or so. But previous numbers don’t really matter, at least not for this review! So with that being said…. Here are the current driver numbers, and the baseline that will be used to measure any improvements... Drum roll please! “Overspeed Training works by getting the body to move at a faster than normal speed during a known motor pattern.Essentially the brain has a set range of speed for the neuro-muscular response when a golfer makes a golf swing. We first need to increase the response speed from the body by reducing the “load” or in this case the weight of the club. We then need to gradually increase this load to teach the brain that the body is capable of running the motor pattern faster” (superspeedgolf.com). So there it is, Overspeed Training is the golfer’s unicorn to obtaining faster swing speeds. But is this based on science, or is it more of a pseudoscience? I can’t answer this just yet, but what I can answer are my initial impressions of the training set right out of the box. I didn't have any issues with my shipment, but I have to say that I'm surprised that the clubs shipped in just a product box with no additional protection. 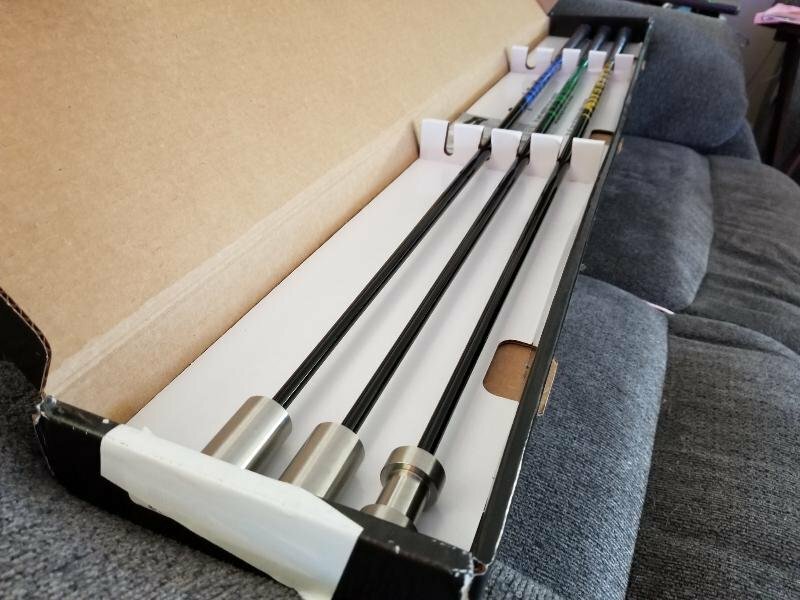 Granted, the box is made in such a way that the clubs are held in place and don't move, but I expected some foam or something to help give the box extra rigidity and provide additional protection to the shafts. If nothing else, the SuperSpeed Golf set is pretty! From the finely machined weights with the inlaid color coded logos, to the glossy black shafts wrapped with a color coded design, to the color coded grips, these clubs have got the look! The grips feel solid and don’t appear (or feel) cheap like some other training clubs out there. I will be interested in keeping track of how the grips are wearing overtime and if I feel the need to change them out. When I first grabbed the clubs and whipped them around (not an actual swing) the shafts seemed a lot stiffer than I was expecting. I guess this makes sense since these shafts are supposed to be used by a wide range of swing speeds, but it still took me off guard. Full swings feel fairly normal, although it does feel different swinging a shaft with all of the weight in one spot on the end versus spread out like on a standard driver head. Well, since the whole point of this training program is to increase swing speed and is modeled after a driver, how does it compare to mine? All of my measured weights came in between 5 and 7 grams heavier than listed on the website, which lists them at 255g/290g/335g respectively. The clubs are still within 2.5% of their stated weights, which seems like a decent margin of error, but I thought it worth noting nonetheless. I also want to point out that the weight percentage of each club to my driver doesn’t fall perfectly in line with SuperSpeed’s application of 20% Lighter, 10% Lighter, and 5% heavier. How much this will matter in the end is hard to say, but again, it’s worth noting. So what exactly am I looking to get out of SuperSpeed? Well for one, I’d like just that: Super speed! But I will settle for a modest, and consistent, swing speed improvement. I have struggled with distance off the tee, so extra speed would hopefully translate to more distance, less club into greens, and, in turn, lower scores. The obvious aside, I am also hoping that the SuperSpeed training will be an extra boost towards my weight loss goals and increase my flexibility, which I have very little of. With well over 100 professional golfers using the product (as determined by looking through SuperSpeed Golf’s Testimonial page), I feel there HAS to be something positive to gain from Overspeed Training, and I fully expect to see a swing speed gain by the end of this review. Stay tuned for weekly updates in this thread as I chart my journey through the SuperSpeed training protocols and track how it affects both my golf game and overall fitness! How fast can I go?! For ease of navigation, I will be using this section to link to my weekly updates. Enjoy! It has been a long, grueling, 14 weeks, but finally after a few delays, I have finished the 14th week of the SuperSpeed training (end of the 2nd level of training). If you’ve been following the weekly updates posted by myself and the rest of my testing brethren, you already know where these Stage 2 reviews are going. For the rest of you, I can sum up my SuperSpeed experience in two words: It works! But since this isn’t a late night golf infomercial, let’s dig deeper into why the SuperSpeed training works and substantiate my claim! 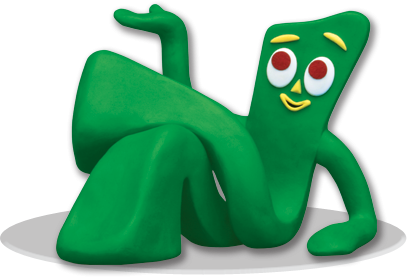 Before jumping straight into the program and the results, let’s first look at the actual product that SuperSpeed produces. Firstly, could you make your own DIY clubs that mimic these training clubs? Yes, but I can guarantee that they won’t be of the same build quality and beauty of SuperSpeed! 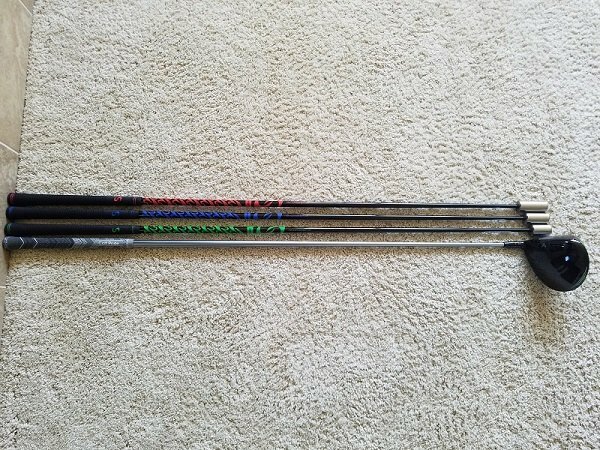 I love the color coded shafts, grips, and paint fill on the weights. As for the build quality, these clubs are solid. If you’re going to be swinging something upwards of 130mph, you want to know that everything is going to stay together, and I never felt worried about this throughout my training (maybe you can feel this confident with your own DIY abilities, but I for one would not). The training clubs not falling apart at high speeds are one thing, but that won’t do you any good if you can’t hold on to them! I had my concerns at first about the grips on the training clubs, based on previous experiences with cheap grips on training clubs, but I am happy to say that SuperSpeed did not skimp on the grips. After 14 weeks of swinging these out of my shoes multiple times per week, the grips have nearly no noticeable wear. However, a word of warning, I did notice that the grips felt a little slick out of the box, but this was quickly remedied with an initial cleaning using grip wipes. This is something I do with any new club or new grips for the same reason, so it’s not something that I find very concerning. I am also compelled to talk briefly about SuperSpeed’s Stability Pro balance mat since they sent one to each of us when we started our kneeling swings in the 2nd level of training. The pad feels much better than the rolled up towel I was using before, and overall I have no complaints from my use of it. However, I’m not sure this is something I would have purchased myself. At $49.99 it is double the price of similar mats you can find on Amazon. Now granted, I did not purchase any other mats, so I don’t have any direct comparisons, but if I were purchasing it, I would have gambled on a $20 Amazon mat before spending the extra money. Now that we have the product out of the way, let’s move into the training program. Documentation is something that SuperSpeed Golf excels at. They provided exceedingly clear documentation for everything, from the dynamic warm-up routine, to each training level in the program. They even offer a wide array of training videos online that walk you through each exercise step-by-step. And just in case any of the above wasn’t clear enough, SuperSpeed remains readily available to all customers, from answering questions, all the way to offering training swing analysis. But, the program isn’t without its downsides, the biggest one being the length and dedication required to see any lasting speed gains. The first 6 weeks of the program were a breeze. We were just entering into the fall season and the weather was still holding up great. At around the 7 or 8 week mark is where I started to struggle keeping up with the weekly exercises. As you will know, if you kept up with my weekly updates, I was sidelined for about a week and a half due to air quality from the California wildfires. Recovering from this time off was more difficult than I expected. With the breaking of my set routine, daylight savings time ending, and the cold rainy winter weather settling in, it became exceedingly hard to motivate myself through all of the required exercises. As a result, I had more weeks cut short to 2, out of the recommended 3, training days than I would have preferred. If you have an indoor area to complete the training, this will be much less of an issue of course, but for those of you in more extreme winter climates, this program will put your self-motivation to the test when you get home at the end of a long work day, it’s cold, dark, and rainy, and you still have to complete your training exercise. With all that said, I am still going to be continuing with the program moving forward, but I do so with the hopes that the routine becomes easier as the weather improves. Increase in Swing Speed: Check! I have definitely seen a measurable increase in speed, to the tune of 6 mph which translates into an overall speed increase of just over 6.5%. I started with a swing speed average of 90.5 mph with a high of 96 and a low of 88. My average calculated from yesterday was 96.4 mph with a high of 103 and a low of 92. Let me repeat that, a high of 103 MPH! Usable On-course Performance: Here’s where I was hoping the increase in swing speed would really shine. On the upside, my accuracy has not been affected by the increase in swing speed. My FIR is still hovering right around where I began at ~60%. On the downside, I have not seen much in the way of on-course distance increases, which is a little disappointing if I am being honest. So I gained speed, but not distance, what gives? Well, I think much of this comes down to my technique, or lack-thereof. With a pronounced over the top swing and a very steep angle of attack, I think I am simply translating my extra club head speed into more spin and causing my ball speed to remain relatively unchanged. This is all just speculation though, I have not been on a launch monitor to test out this theory. Another possibility is that I simply haven’t become comfortable with my faster swing and am unknowingly holding back on course. I have never set up my radar on the course to see if I have any measured decrease in swing speed compared to the range. I will need to do some additional testing on this and comment on it further down the road in my training. However, all that aside, I still see a massive upside to this… My distance potential has gone up, and while I haven’t seen any significant changes to my driver distances at the moment, I have hope that it will jump once I get my swing mechanics a bit more under control. I am hoping that Level 3 of the SuperSpeed training will help with this. Level 3 of training introduces Advanced Speed Development with 3 individualized training routines, one of which is for helping with the swing sequencing. And now for the data behind it all! Below is a spreadsheet and chart detailing the last 14 weeks of training. The biggest factor to keep in mind, is the plateau in my swing speed that has persisted since my 4th week of training. These plateaus are going to be the hardest part of the SuperSpeed training because you are not seeing immediate results. But the team at SuperSpeed have ensured us time and time again that this is a temporary plateau and that we should see our another jump in speeds during our next level of training. For ease of comparison, I have charted out my current swing speed alongside SuperSpeed’s target increases through the 48th week. Since I am not able to hit a ball before/after each session, the driver speed from my chart can only be compared to the “Before Speed” in the above chart from SuperSpeed. Based on my current Driver swing speed, I am right on track, if not slightly above, with where SuperSpeed expects me to be at this point in my training. I am looking forward to seeing if my numbers continue to follow the target line, and excited that my future might hold an average near 100 mph! SuperSpeed Golf easily fits into the “Keep it” category. While it might seem expensive at first glance, the amount of research and effort they have put into their training program is outstanding and I believe that my results, as well as the results of the other testers in the group, testify to this. When you buy their product, you are not only buying the training equipment, you are buying their research, knowledge, and continued commitment to creating a training program to benefit all golfers. The SuperSpeed sticks will be firmly planted in my bag for the foreseeable future! To wrap things up, I want to touch on what SuperSpeed Golf is and what it isn’t. The SuperSpeed Golf program is not a quick fix, and it won’t overcome any major swing faults already present in your swing. What the program will do, without a doubt, is increase your swing speed. Whether or not this adds up to longer or more accurate drives, is fully up to the individual. For me personally, it hasn’t resulted in longer drives (yet), but it has given me the motivation to work on my swing faults knowing that I have untapped distance potential in my new, faster, swing speeds. When I first told my regular golfing buddies about the SuperSpeed Golf training program, I was met with criticism about the product appearing “gimmicky” and doubts that it would produce much in the way of gains. 14 weeks later, they are singing a different tune after seeing my 6.5% increase in driver speed! This training program works, but it is not for the weak hearted. It takes a level of dedication to stay with the program and complete the workouts each week. If you are serious about gaining swing speed and are ready to dedicate at least an hour every week to doing so, look no further than SuperSpeed Golf! I would like to thank My Golf Spy and SuperSpeed Golf for choosing me to do this review. I would also like to thank my wife for being so understanding of my crazy addiction to this wonderful game. It is an honor and a privilege to be a member of this community and to do an Official Member Review. My name is Jason Bentley and I'm from Cleveland, TN. I'm a husband, a puppy parent and addicted to golf. I've had a pretty casual fling with golf for about 23 years. I didn't start playing until after high school and my brother was the person who introduced me to the game. He even bought me my first set of clubs, they were a yard sale find. The woods were wood and the irons were more of a player's set that just consisted of the odd numbers. I eventually upgraded the woods with some Northwest woods from Kmart and a set of Nomad irons that I bought from a guy at work. I quit playing around 2003, I found other hobbies that took all my time: hunting and fishing. About five years ago, I decided to give it another go and picked up another set from both a resale shop and Global Golf. I don't keep a handicap, but my scores usually are in the 100-110 range. I usually hit my driver between 210 and 230 yards, my 6 iron is good for about 145, and I hit my PW for 100 yard shots. My typical misses are a slice with the driver and I tend to push my irons. I can, with conviction, tell my wife I'm always right. Hey, the data backs it up. I've played and practiced more this past year and see improvements in my game, I'm working hard to be more consistent. My weaknesses are distance and accuracy. I'm hoping this training will help me to be able to use driver a little less and have shorter approach shots. I use driver on every possible hole and hit about 4-6 fairways. My greens in regulation are the same, having longer clubs in hand drastically reduces my accuracy. I'm currently not in any type of fitness program due to the hours of my current job. Working in the auto industry, we do stretch before shift and I will stretch as I'm working to stay loose. I leave the house at 4 a.m. and arrive back home at 5:45 to 6:30. I'm hoping to quantify this system to someone with a limited amount of time to train. When I received the notification that I was going to participate in this testing, I can't describe the excitement I felt. 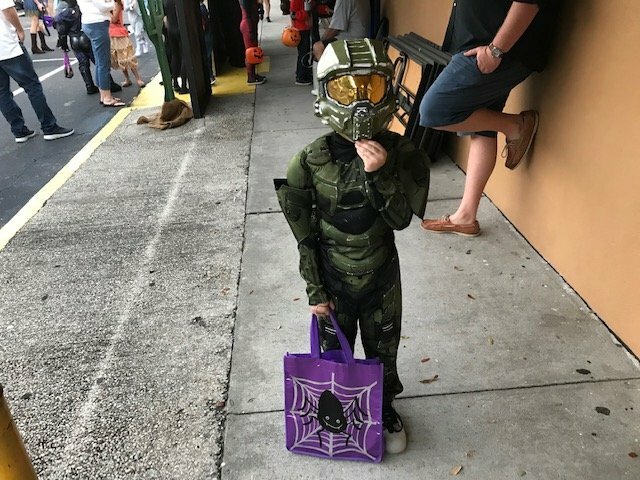 Then the waiting began. I'm not going to say that I was staring out the window to wait for the UPS truck to show up, but I was. When my package arrived, I was relieved that they were in great shape. My sticks came first, then a couple of days later I got the radar. They were packaged well and I was dying to give them a go. I took the radar to the range to get a starting speed and found out my driver swing averages 89 mph. My high was 94. I like the graphics on the speed sticks, it makes it easy to know which one to swing. I did end up getting the senior set, which momentarily hurt the ole man pride. I gotta give it to SuperSpeed, they got it right. My driver weighs 279 grams and my heaviest trainer weighs 295. What is overspeed training? It's performing a known motion faster with a progression of lighter to heavier Speed Sticks. This method is supposed to train your body to overcome the limits that your mind places on you. We will be swinging with both our dominant and non-dominant sides. The first six weeks we will be taking a normal swing with all three clubs, a step swing, then finish off with three really aggressive swings just on our dominant side. The folks at SuperSpeed have been great, both Kyle and Daisy have sent us information and been there to answer any questions. They have been tweaking the program and have very informative on what the new protocols are. Later in the program we are going to have to perform the "Happy Gilmore", and that's kind of scary. This drill left handed might lead to something funny or tragic. Spies, this program is going to be a long one. The protocols last for over a year. Will it be worth the time and effort? I think so. Who doesn't want to hit it farther? I'm hoping to see good increases in my drives. What is it going to take to convince me that this is the real deal? If SuperSpeed delivers on the claims of a five percent permanent increase in speed after six weeks. I'm also hoping this doesn't negatively affect my swing. I really don't need that. I also want to see if this program is good for someone who doesn't have a lot of time to train. Is this the right program for you? I'm here to find out. 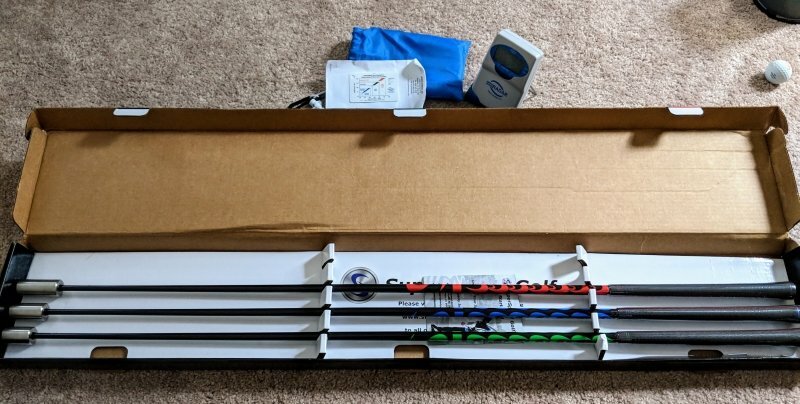 I would to thank MyGolfSpy and SuperSpeed Golf for taking the chance and giving me the opportunity to do this review of the SuperSpeed Training System. I also want to thank my fellow reviewers and all the members of this community for getting involved and for the support you've given us. Who doesn't want more club head speed? There is an entire industry built out of this one goal. 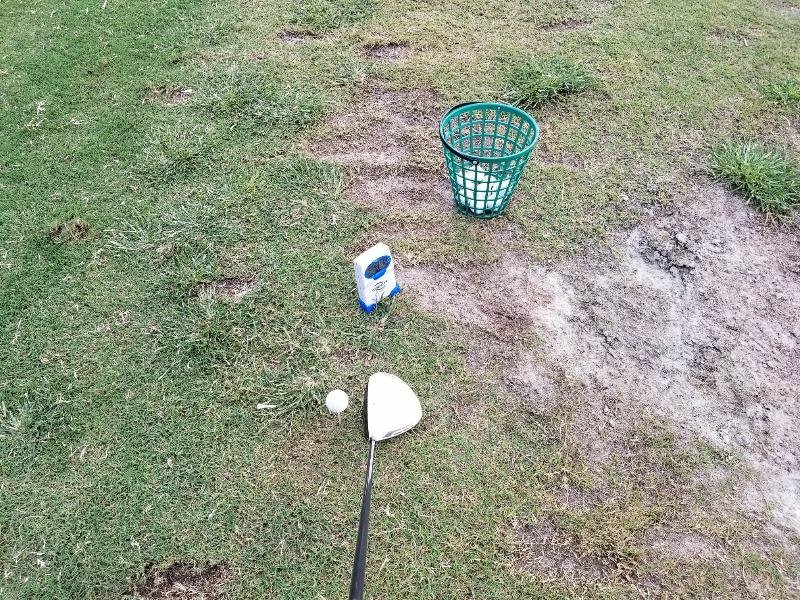 From work out programs, club designers, and innumerable articles have been written all towards the goal of hitting a little dimpled ball as far as possible. Enter SuperSpeed. Their program is based on overspeed training designed to retrain your brain to swing a golf club faster. Using a system of differently weighted clubs, your mind and body learn to achieve this goal. Does it work? That's the question that MyGolfSpy is hoping that we can answer. We have been tasked to give a full review of this product and the system that SuperSpeed employs. The SuperSpeed system uses a fairly simple training system with an advanced amount of research to back it up. They use specifically weighted "speed sticks" built within a specific weight range based on driver weight and swing speed. The ideal range is to have a stick that is 20% lighter, 10% lighter, and 5% heavier. After doing the math, my ratios are 19, 9, and 6. When I first got fitted into the senior set, I didn't know what to think. After looking at the numbers, I think it's where I needed to be. 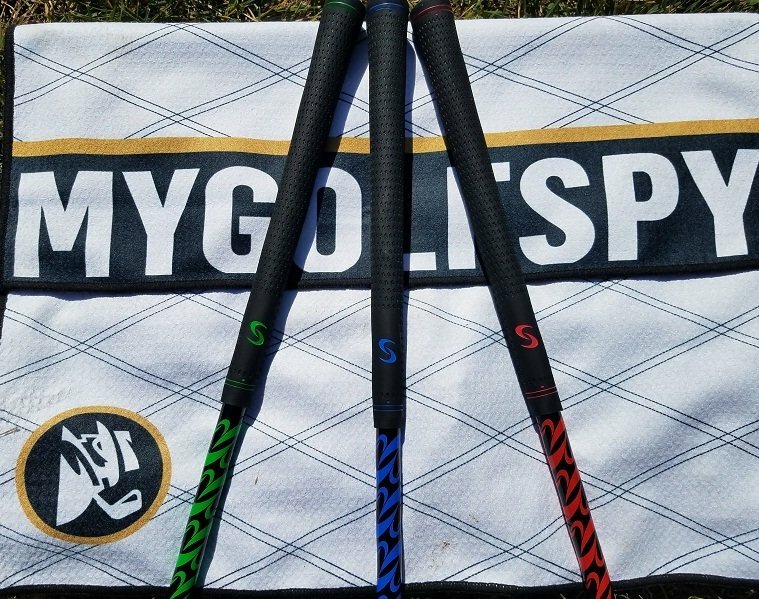 Each speed stick is a gripped driver shaft with different sized weight on the end and are specifically color coded to make it easier to switch between during training. The coloring on the shaft makes spotting the right stick simple. These clubs are definitely well built. I've hit the ground, the pavement, and one radar. Everything is still tight and in one piece. There is a scuff on the weight of my blue stick from the pavement, but it's cosmetic and not anything that will cause structural damage. When I got the SuperSpeed System, the one thing I wasn't too fond of were the grips. I'm a fan of Winn Dri-Tac grips and the ones on the speed sticks just weren't my style. After almost 3000 swings, which is nearly 1000 with each stick, I was wrong. 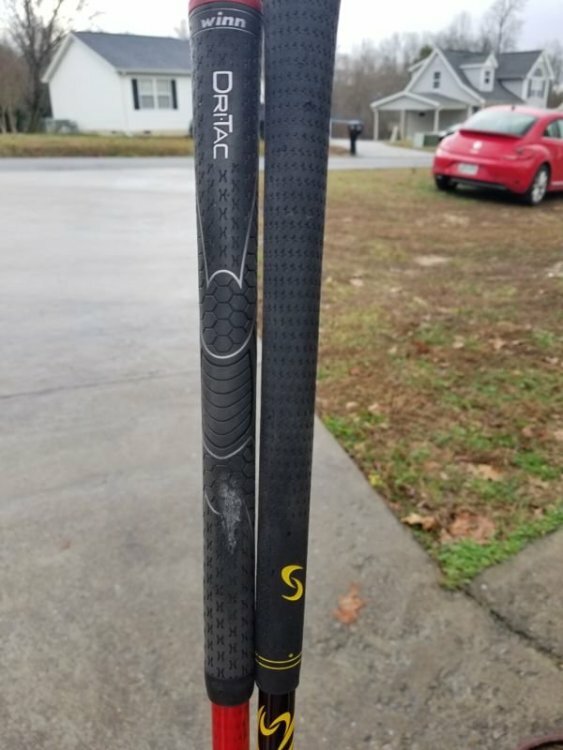 I had my driver regripped last year and it's already showing damage. 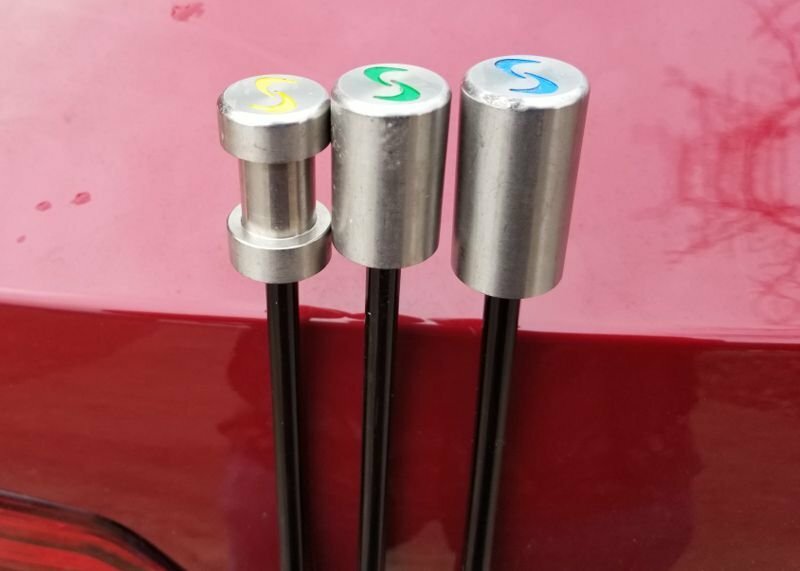 The only thing I see on the SuperSpeed grips is a little discoloration. 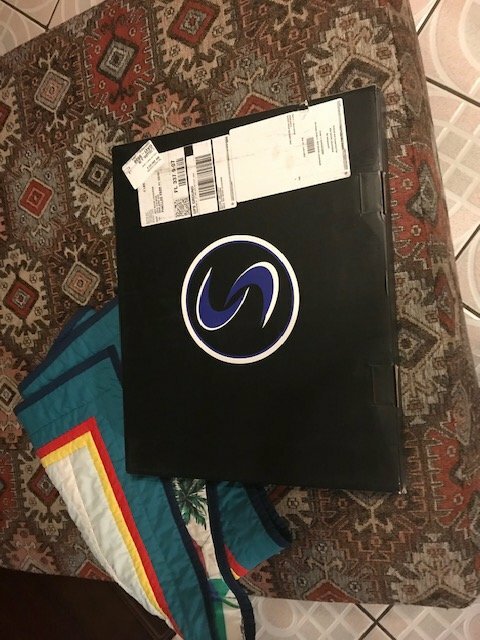 I also want to give kudos to SuperSpeed for also sending us a kneeling pad. I had bought one at Lowe's, but I find the one from SuperSpeed to be more comfortable, but if you're on a budget I would recommend you buy one somewhere. 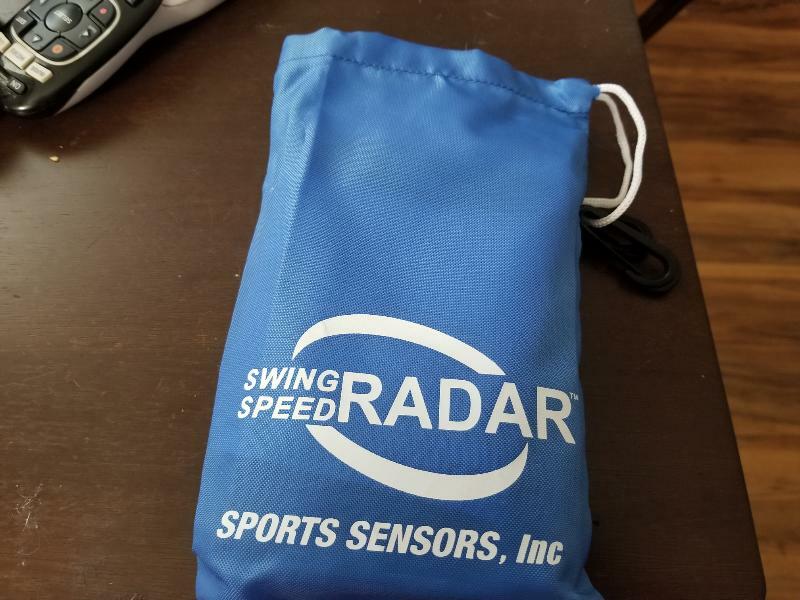 With this testing, we also received a swing speed radar. I highly recommend to anyone that wants to do this training purchase one, because it gives feedback and motivation to swing faster. Overall, I feel that SuperSpeed is a high quality product, that is build to last for the program duration and beyond. The SuperSpeed method is really easy to understand, like a wise man once said, "if you can swing a golf club, you can do SuperSpeed." I'm not quoting exactly. For the first 6 weeks, we were doing 2 drills: regular swings and a step change. Each drill consisted of 3 swings on our dominant and non-dominant sides and going from our lightest club to our heaviest. The step-change and non-dominant swings were awkward to get used to, but over time, they became second nature. 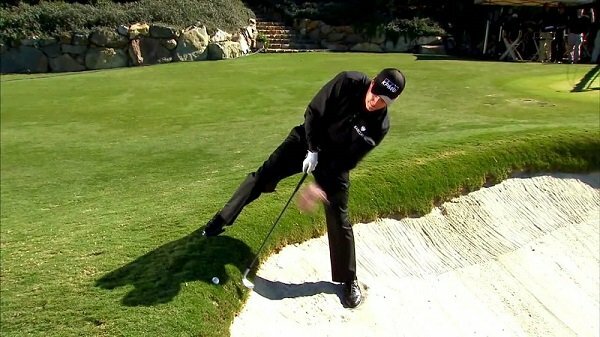 I've found the step-change to be very beneficial, because it gave me a better feel for using the ground to power my swing. I could feel myself pushing off my right side and shifting forward. 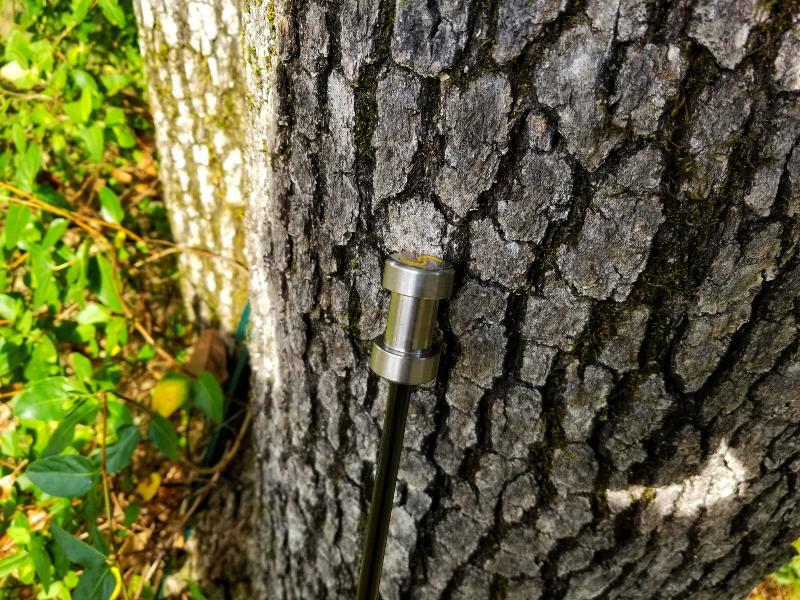 I noticed during my range sessions that I had a tendency to hang back on my trail foot and this drill helped to instill the feel for a better weight shift. Our second stage of training introduced us to a kneeling swing that helps with our torso rotation. We knelt on a pad, with our legs close together, in order to restrict our lower body and put the focus on our upper body to do the work. One of the best things about learning these drills is the fact they are readily available online. You can find the videos on YouTube and the SuperSpeed website. The customer service is phenomenal! We have had 2 conference calls with the SuperSpeed crew and they have been extremely helpful and informative. Our first call was to introduce us to the training program and answer any questions we had starting out. The second conference call was to go over the kneeling drill and make sure we were doing it properly. I've been in contact with both Daisy-May and Kyle Shay discussing my issues gaining speed during the first 6 weeks. They were more than happy to take a look at videos I sent and offer feedback. For anyone who purchases SuperSpeed, I highly recommend taking advantage of their customer service. This is a huge commitment. 72 week to be exact. I would like to give an opinion on whether or not this is the right amount of time to do the program, but I'm going to differ to the experts. They have poured in the time and research to optimize the program and I'm confident that they know what they're doing. Doing each stage, there are peaks and plateaus and I feel like SuperSpeed has the right formula to maximize gains. My only issues is that the program seems a little more geared towards people who have indoor access and that it's sometimes hard to self-motivate. I can understand that not everyone can do the exercise indoors. It requires space to swing a club. It's the motivation factor that I can see being an issue with anyone that buys a set. We are extremely fortunate to have a forum where we can discuss what is going on and get encouragement when we are having problems. For this reason, I'm going to deduct a point. Now to the part we're all concerned about...does it work? For my scoring process, I'm going to split this up into 4 parts. This is the first golf specific training I've ever done, other than going to the range. I'll be honest, the last time I did anything resembling a workout was when I started working at the auto factory and it was mandatory. We do stretch everyday in order to reduce the chance of injury and I make it a habit to do some of those everyday outside of our required time. On the course performance has been a big concern for a lot of people in this forum. 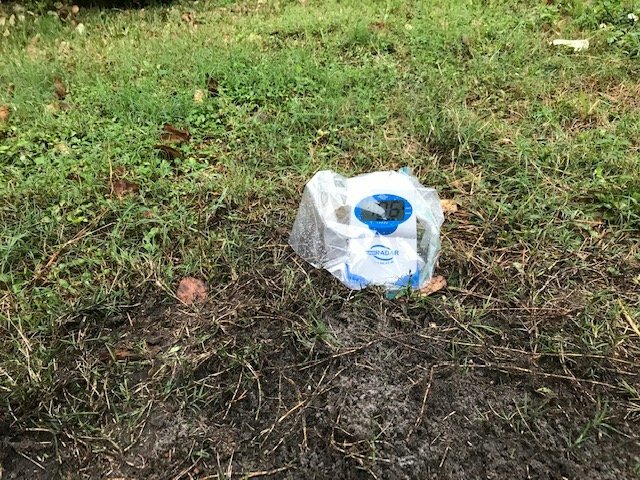 The first few weeks, while on the course, I did notice some issues. Mainly with ball flight. I found that I was pulling and pull-hooking a lot of drives. I've also struggled with ballooning shots. I believe that this might have to do with a steeper swing that I've developed since starting the training. It could also be the fact that I'm swinging a longer driver (46.5 inches) and it could be causing the ball to spin more. It was suggested that I get fitted for a new driver during this training, but in order not to skew the data I did not make the change. I can imagine someone shelling out $250 and then being told that they needed to spend $500+ more to make the system work getting pretty mad. I am looking to get fit sometime this year, as I'm seeing that I don't have the right driver for my swing. Since getting Arccos at the start of October, my fairways hit stat has improved. My last round I hit 9/14 and overall am hitting 50%. A great number for me. I haven't seen an increase in distance yet. I'm chalking that up to cooler temperatures and wet weather. Did I mention it's been rainy? 6 inches in November and almost 9 in December. The thing that I'm extremely happy with is my ball striking. I might have to change my name, I'm thinking sirchunksoccassionallybutnotasmuch. No? Okay, if I decide to it'll be something shorter. As far as the program goes, I think it is great for someone who is looking to gain distance without having to dedicate themselves to spending hours a week in the gym. I am going to deduct points at this stage of the review for ball flight problems. If something changes in the coming weeks, I'll be sure to let you know. The first 6 weeks were a struggle for me as far as gaining distance. The numbers were there with the speed sticks, but no matter what I tried, the driver numbers were abysmal. At one point, I would have given up if it wasn't for the support of my fellow testers and forum members. Plus, getting to do this review was a big deal for me and I had no desire to disappoint MyGolfSpy. I sincerely appreciate you all! Here at MyGolfSpy data rules. After 6 weeks, my speed increased 1.4 mph, which is 32% of the the 5% increase promoted by SuperSpeed. I am going to round up, since I did see improvement in ball striking. The second phase of our SuperSpeed training stretched for the last 8 weeks and introduced us to the kneeling drill. This is where I saw my best increases. 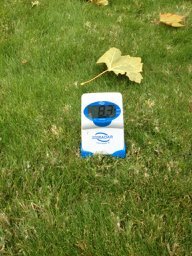 After a couple of weeks, I started seeing averages reaching 92 mph, but I just wasn't hitting that on the course. I'm a radar junky. I can't help it. The speed on the course was still hanging around the 90 mph range. I think it's easier to swing freely on the range where there is less pressure to hit within a smaller area. 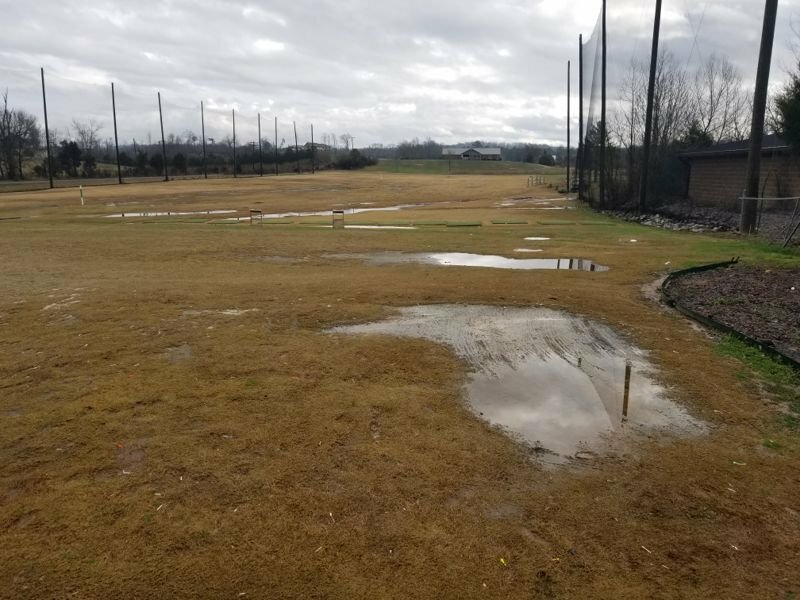 At the conclusion of week 14, it was back to the driving range on a wet January day to get the results. I hit 20 drives with a low speed of 91 and a high of 100. My average totaled out to 94.6 mph, which is an increase of 4.2 mph and a 4.6% increase since the week 6 speed test. Coming into this testing, I was hoping for something around 2% after this set of protocols. So 4.6 is a win in my book. I decided to break this all up in order to give you all a breakdown of my thinking as I'm scoring total performance. I also hit more shots with my driver to get swing speed averages, but there is a method to my madness. SuperSpeed claims a permanent increase in speed and I wanted to mix in shots, at various times, during my range session. I figured the best way to measure this was to simulate all the exertion from a round of golf. I didn't think being fresh and taking only 5 swings would give real world data. Coming into this test, I was looking to increase my swing speed by 7%, which would put me right at 95 mph. I also wanted to see how doing this training would be for someone who didn't always have a lot of free time in which to do training. My work schedule changed in October and that put me getting home most days at 6:45 pm, leaving me only a couple of hours before bed. I was extremely pleased in how easy it was to get the protocols in during the work week. Overall, they take about 30 minutes and were not problematic for me. I actually found myself looking forward to them after a long day of work. Overall, my swing speed increased 5.6 mph, which is a 6.4% increase. It is short of the 7 mph increase that would have brought my swing speed up to 95, but just barely. I've really enjoyed the opportunity to take part in this test. As a high handicapper and relatively new member of this forum, it has been a great experience. This review process is not for the faint of heart, but I would definitely do this training again in a heartbeat. I am definitely looking forward to sharing my experiences with all of you for the next year. As for the SuperSpeed product and who it might benefit, I would say almost everyone. The only players I wouldn't recommend it to would be someone who is just starting the game. I think it would be great for them after they get the basics down. This is a challenging game and I think it would just mess them up, until they have a relatively repeatable swing. On the other end of the spectrum, tour players use SuperSpeed, so I think that no matter how good you are you could benefit. This is a really solid product that has helped me improve my game as someone who struggles to break 100. I can't wait for warmer drier weather to really gauge how much it has helped. SuperSpeed Golf uses overspeed training to help golfers lower the limiters that we place on ourselves by having us use specifically weighted clubs that we can swing faster than our normal driver speed. Doing this resets the limits we place on ourselves and allows a faster speed to become our new normal. I think this training could help anyone who is looking to increase distance, or for the player who is looking to regain lost distance. I'm not going to lie, it is a huge commitment with a training schedule the encompasses 72 weeks. But like everything in life, the work does pay off. The first 14 weeks didn't exceed my expectations, but it did meet them. I appreciate MyGolfSpy and SuperSpeed Golf for the opportunity to review the SuperSpeed Golf training system. Intriguing to say the least! I've been playing this lovely game of ours for over 40+ years. My father started me very early at 4 years old, letting me swing plastic clubs first, then he cut down one of his old sets for me when he knew I understood to hold on to it. HA! I was the only one of 3 boys that stuck with it. The older brothers played the "normal" sports like baseball & football, all while making fun of me playing that "dumb a** sport." Now look who's playing the game after 2 knee surgeries and can't play baseball or football anymore .... my older brother. "Who's making fun of the game now, huh?" Back in the good 'ol days, my handicap got very close to scratch. I lived & breathed golf for a number of my teenage years. Between working on a golf course in both the Pro Shop and on the maintenance crew, to the retail side of things .... I was involved with golf in some sort of fashion. But these days my handicap hovers around 8 and 10 ... much higher than I would like. I have played Titleist clubs ever since I can remember. 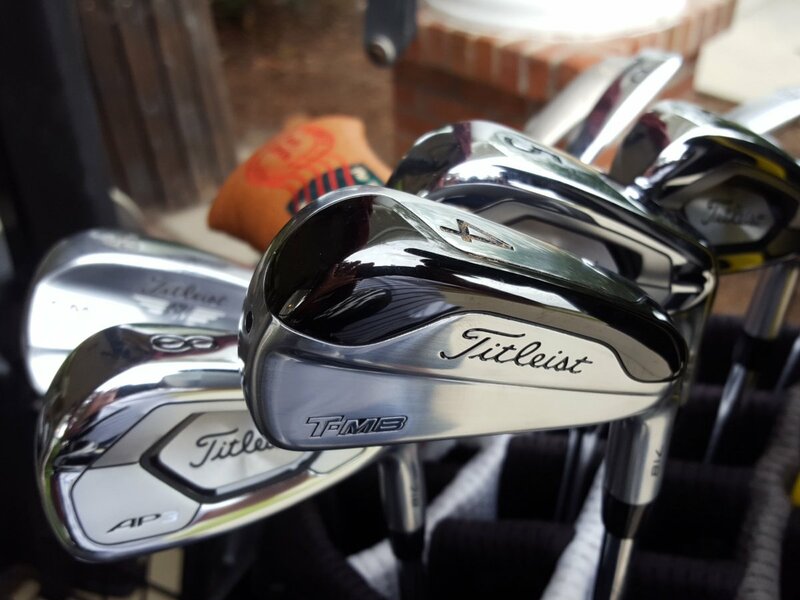 I grew up playing the Balata golf balls, the original blades ... Titleist has been my go to company for years. I currently hit my driver about 250 - 265 yards depending on the swing I bring to the course & the condition of my body that day. My swing speed hovers around 96 - 100 mph. I'm hoping to consistently be over the century mark after this review is over. 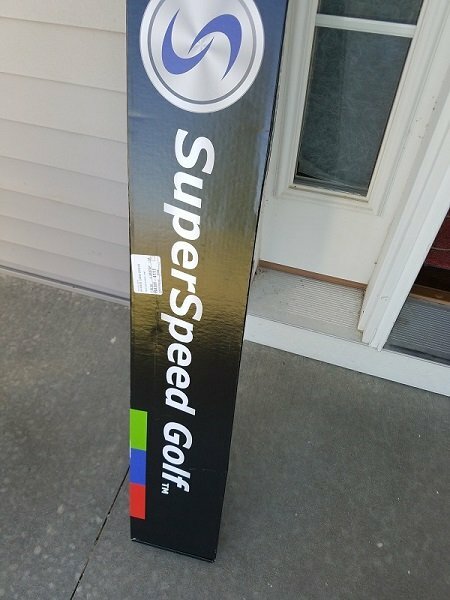 Who doesn't like it when UPS arrives at your door with golf goodness? I like the fact that the clubs were separated from each other in the box. My initial reaction was "cool, at least I can differentiate the 3 clubs from each other by sight & not just feel." The color scheme & the engraving on the weights themselves are nice. The only thing that I didn't like was the Tour Velvet grips. To a guy that has sweaty hands all of the time, no matter the weather, velvet grips are the devil. I just better make sure there is enough room in the yard and no one else is around when I swing these. And by no means will I be able to swing them in the house. That's all I need is to have one slip out of my hands and into the flat screen in the living room. Mrs Nut would not be too happy with me! HA! SuperSpeed states the light, medium, and heavy sticks are 20% lighter, 10% lighter, 5% heavier, respectively. Players are supposed to typically gain 5% over the first 6 weeks. Their website lists a 1mph increase = approximately 2.6 yards. I'm just hoping for any type of increase without swinging out of my shoes every time. This was my biggest "fear" I guess for lack of a better word. But the guys at SuperSpeed assured me that this wasn't going to be the case. It's about training your mind & muscles to swing a certain way that you don't even notice it. I have to say, I was a bit skeptical about that. But only time will tell. The "Happy Gilmore" swing is an interesting part of training as I would never attempt to hit the ball that way obviously. As well as hitting from the knees but I'm sure they know what they are talking about. Mind you, I'm not the most flexible person in the world ... so getting me into these positions might be a challenge. HA! The left-handed version while kneeling should be interesting to say the least. "Swing as hard as you can!" Never in the game of golf have you heard that phrase incorporated into training. Unless of course you are in 6" high rough & you have to gauge it out ... then yes, swing as hard as you can. But I would never do that off the tee box with a driver or an iron. Committing to this program will take some effort but I'm interested and intrigued by it. I'm hoping to see some results in the future. Maybe I might get out there a few more yards. If I am able to hit 1 or 2 less clubs into my favorite holes, then it's definitely worth it. I am expecting good things from you all. This product is on my very short list for X-mas presents to myself. Can't wait to hear what your first Impressions are. exactly Thin2win. I'm looking to see if it'll be a great indoor activity for the cold winters.